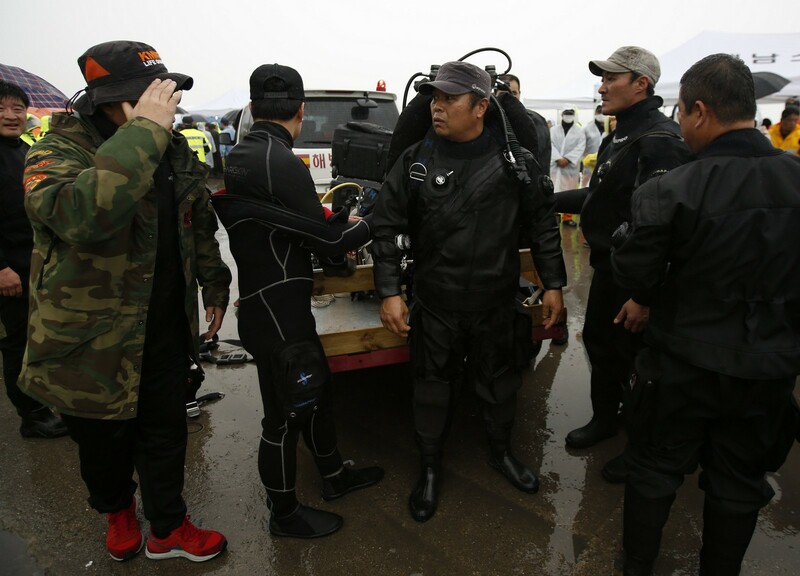 JINDO, South Korea - Professional taekwondo teacher Lee Jun-Ho took up scuba diving eight years ago as a fun hobby. 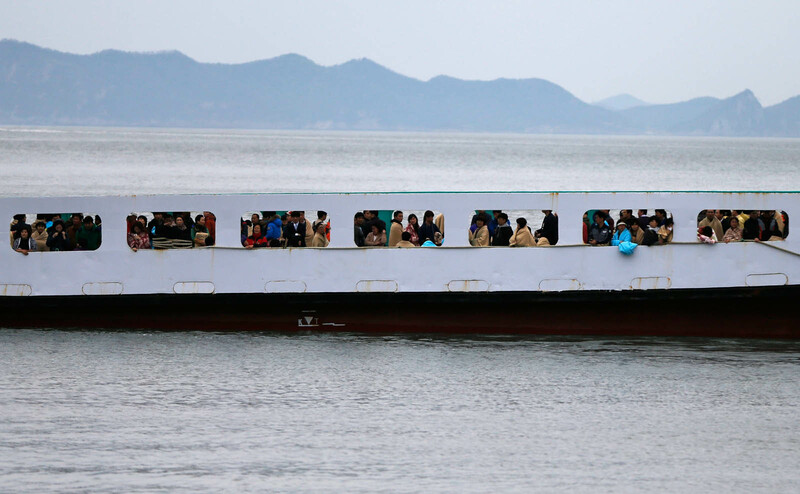 It was never meant to lead him to the black, nightmarish world of a submerged ferry looking for the bloated bodies of hundreds of schoolchildren. 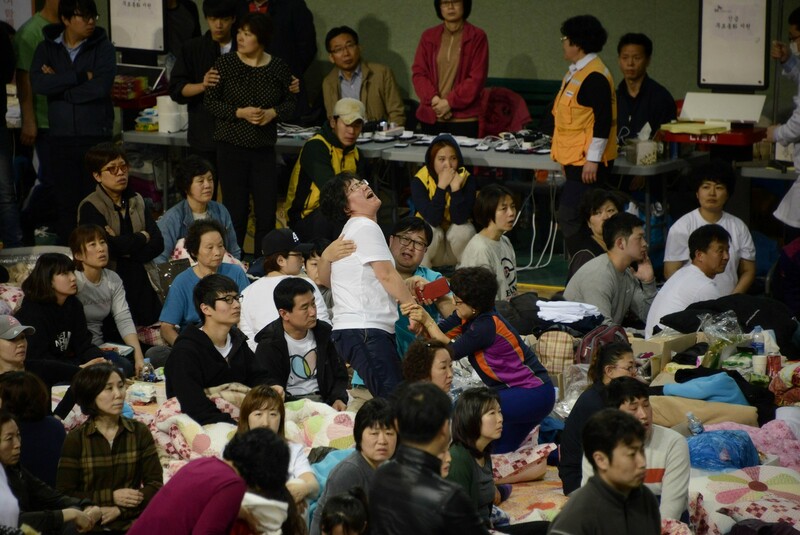 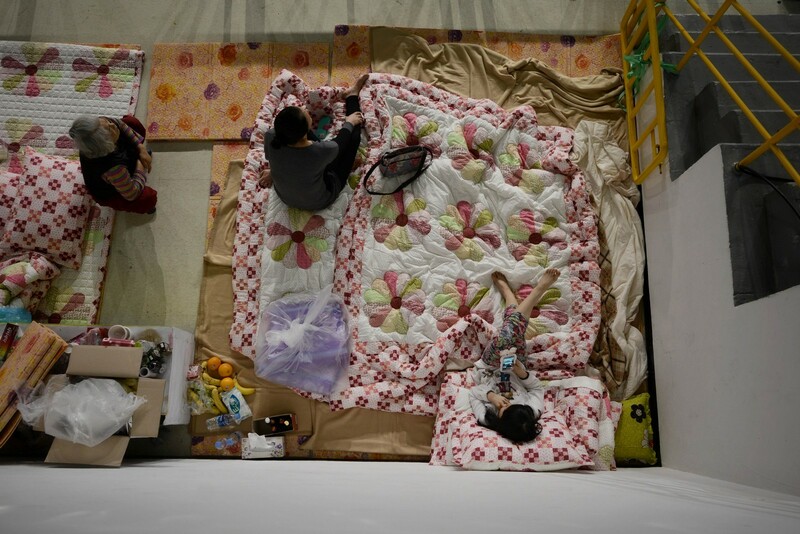 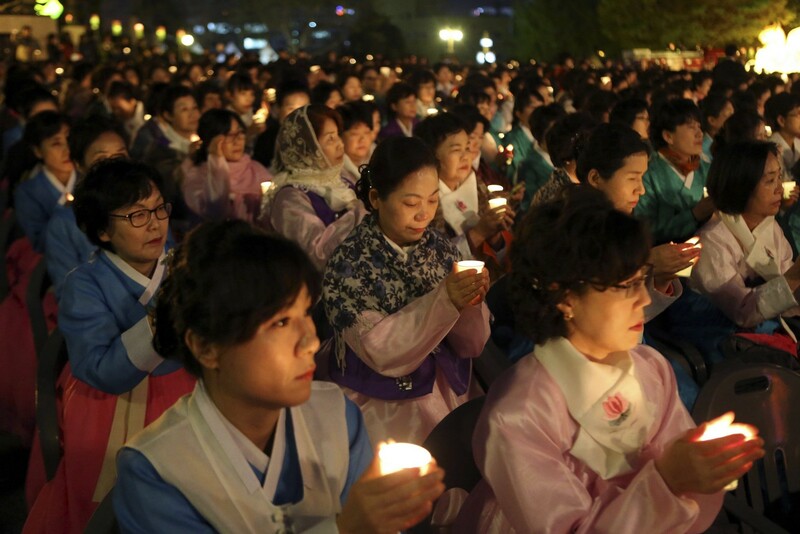 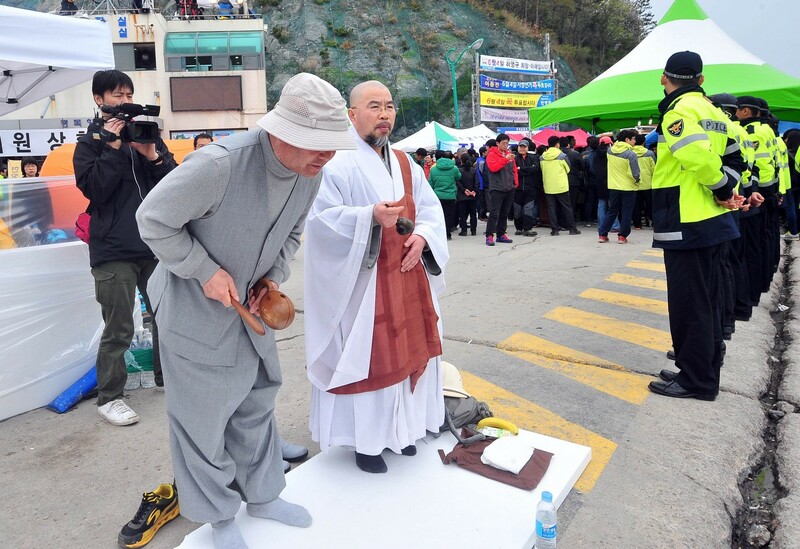 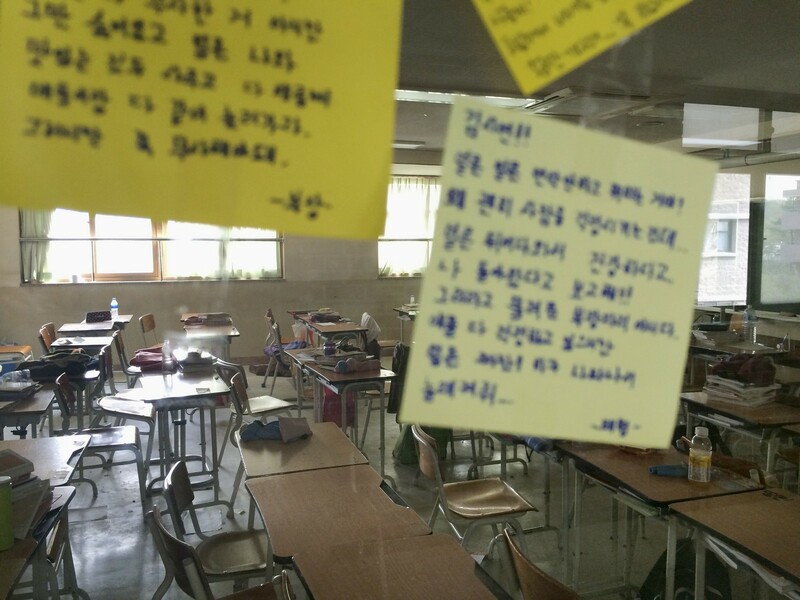 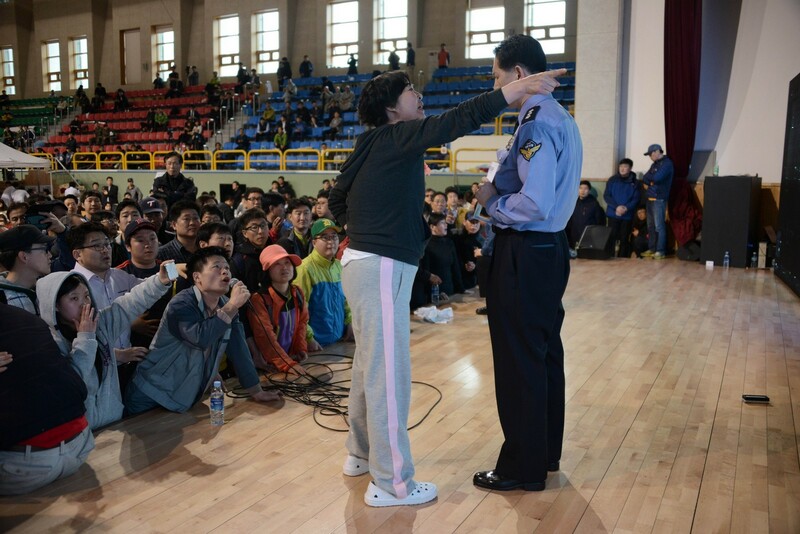 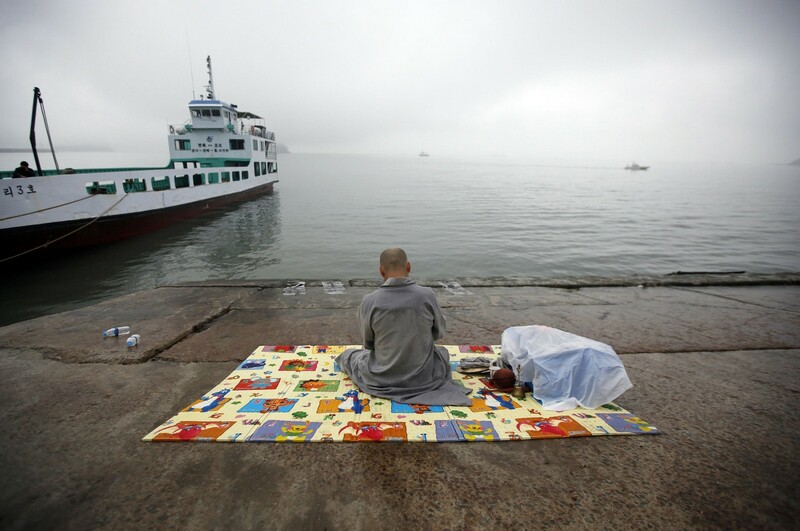 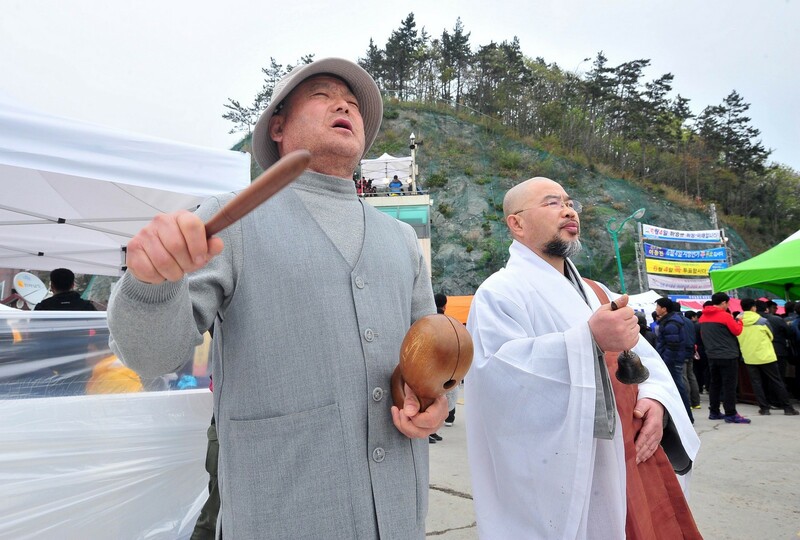 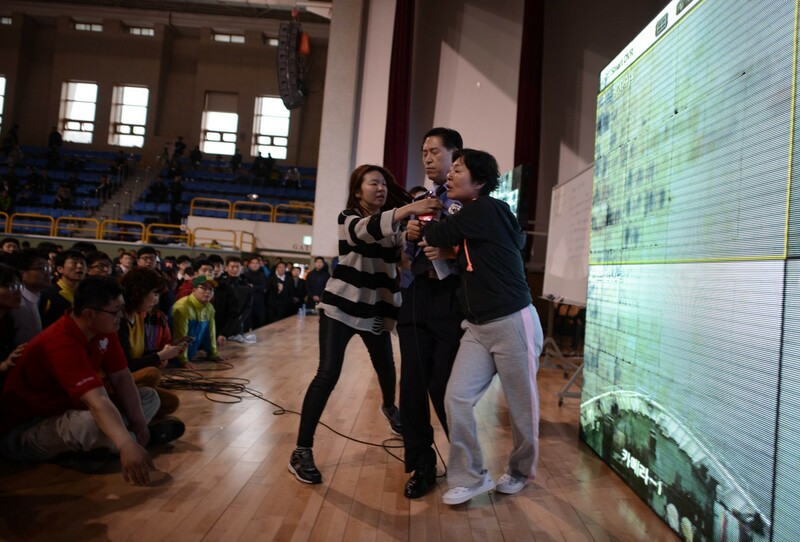 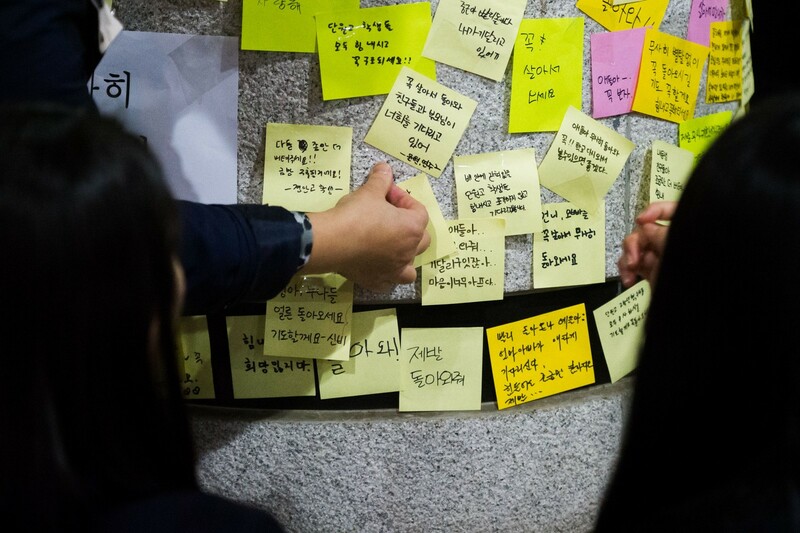 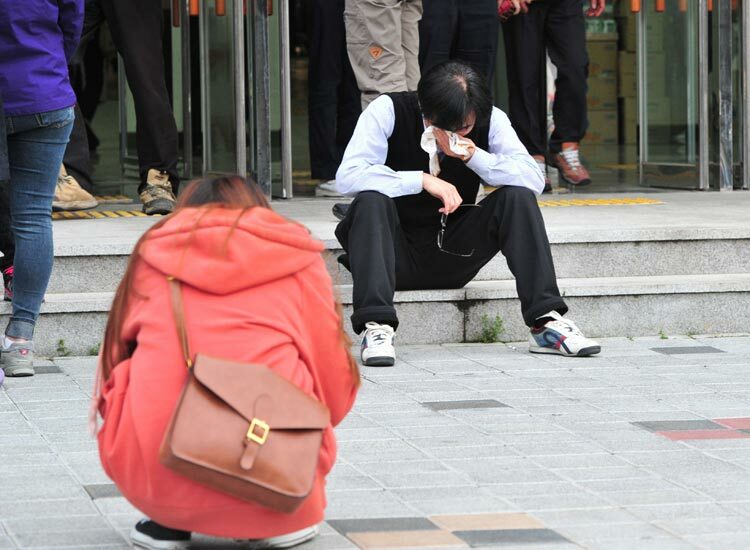 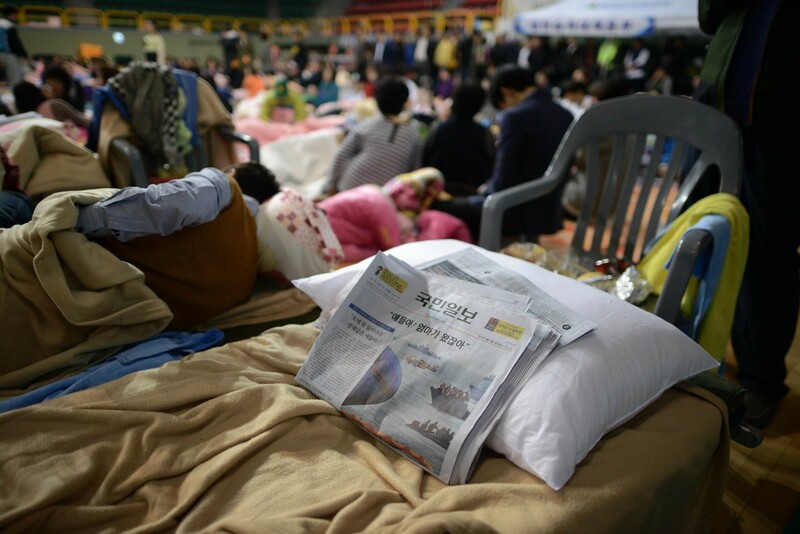 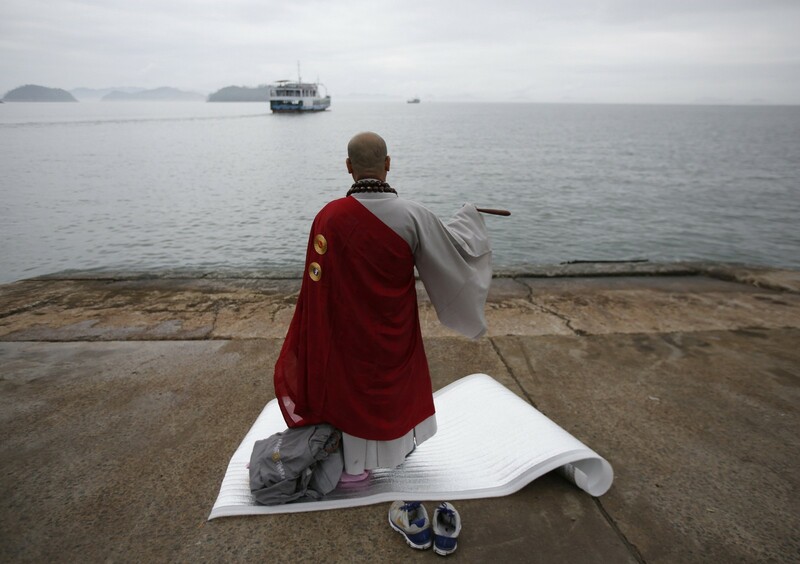 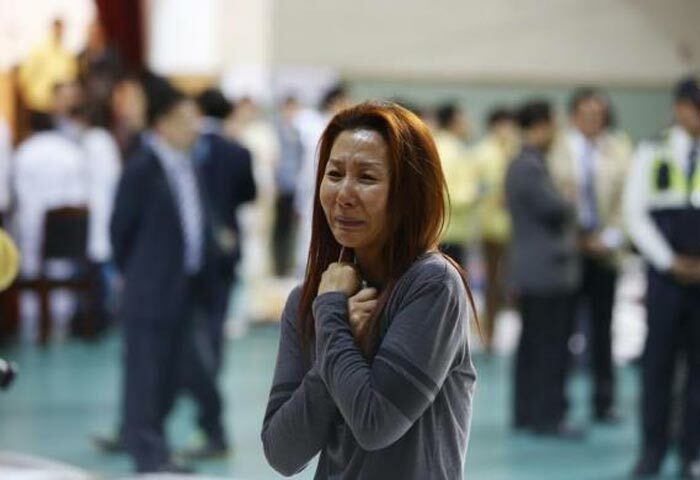 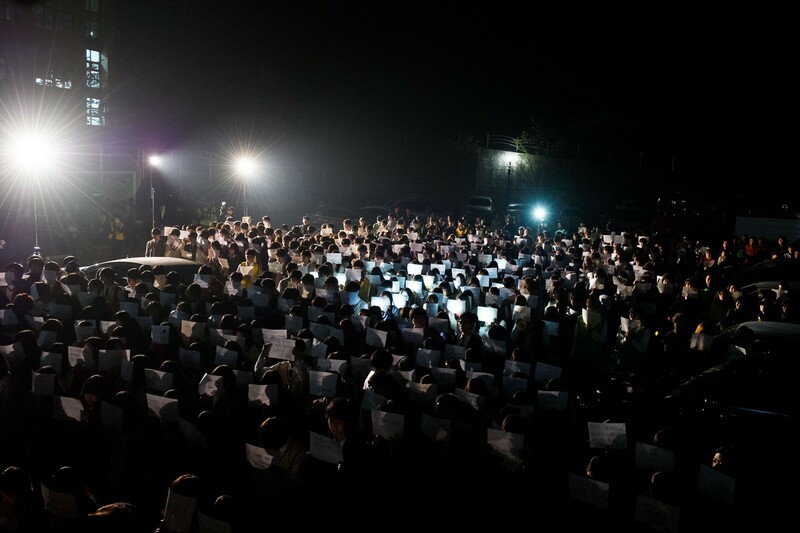 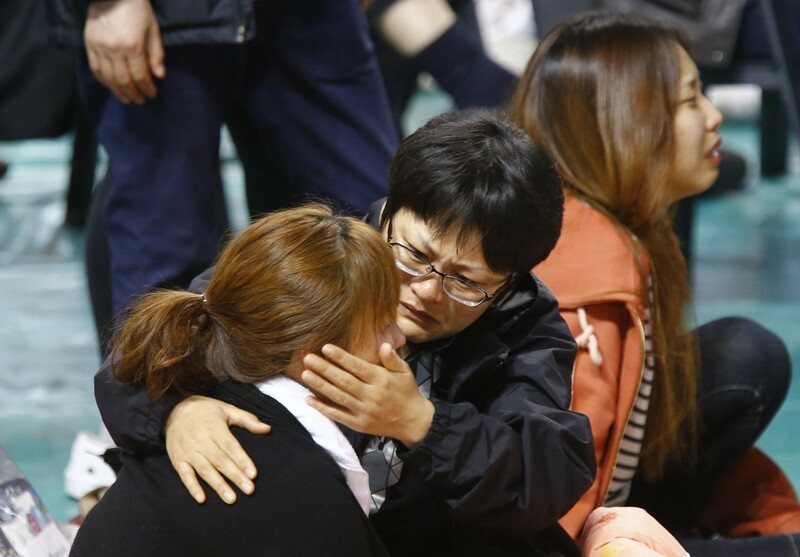 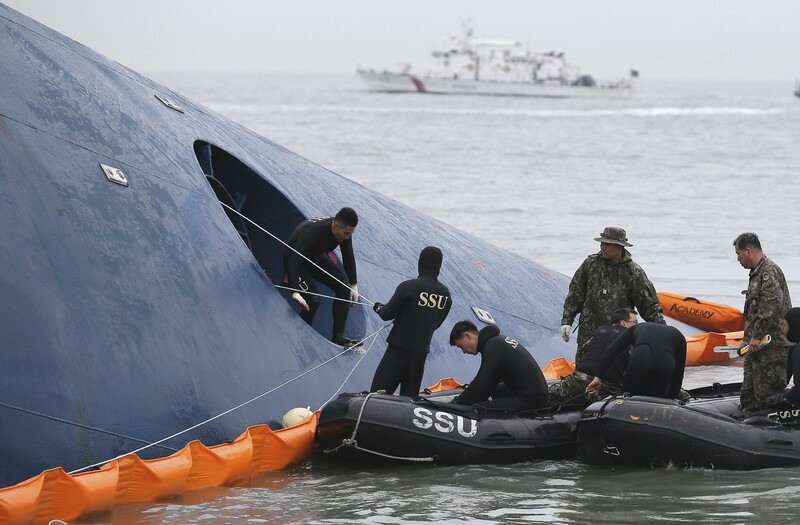 Last Wednesday, Lee, 41, was preparing for another day teaching children at his private taekwondo school in Gimhae, near the southern South Korean port city of Busan, when he heard reports of an unfolding ferry disaster off the southwest coast. 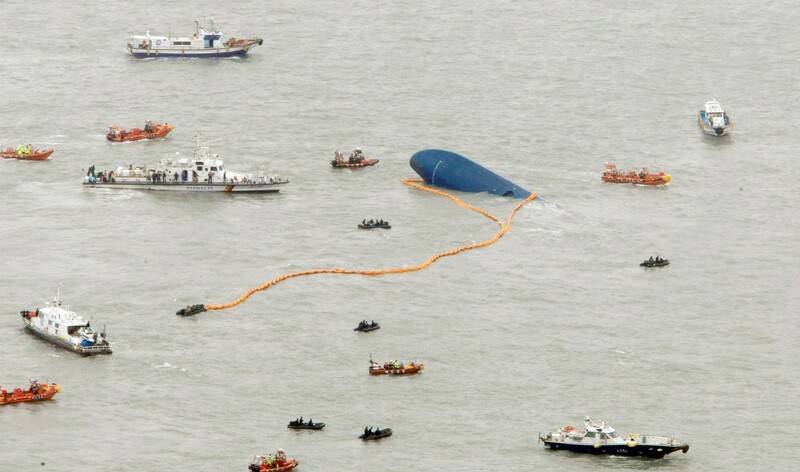 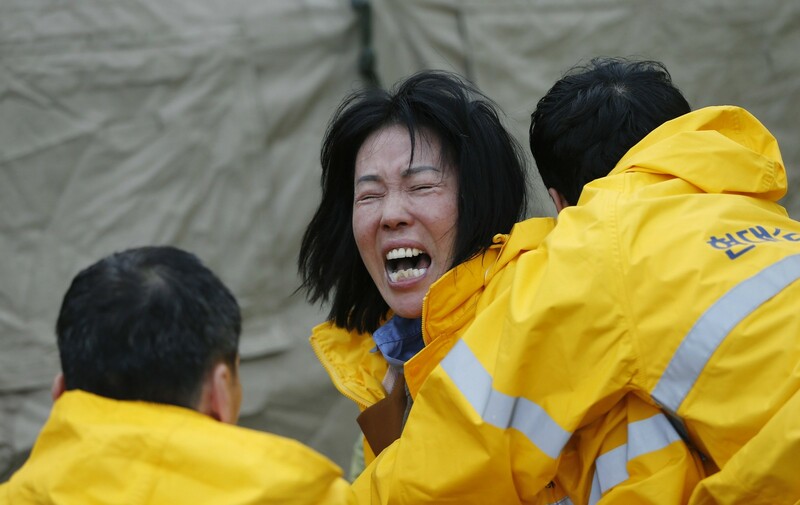 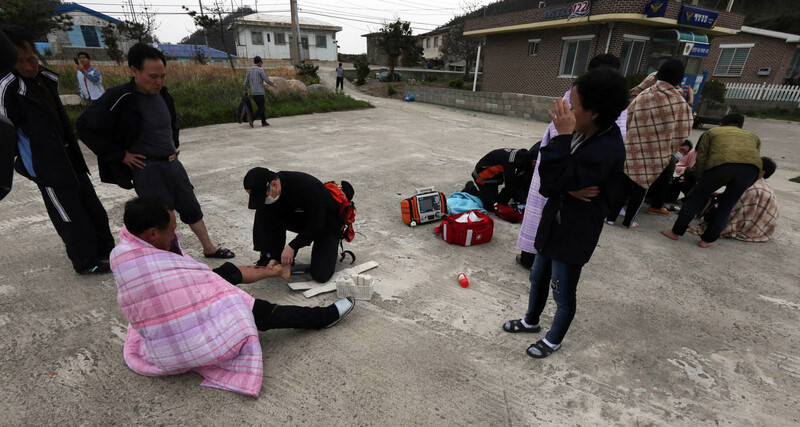 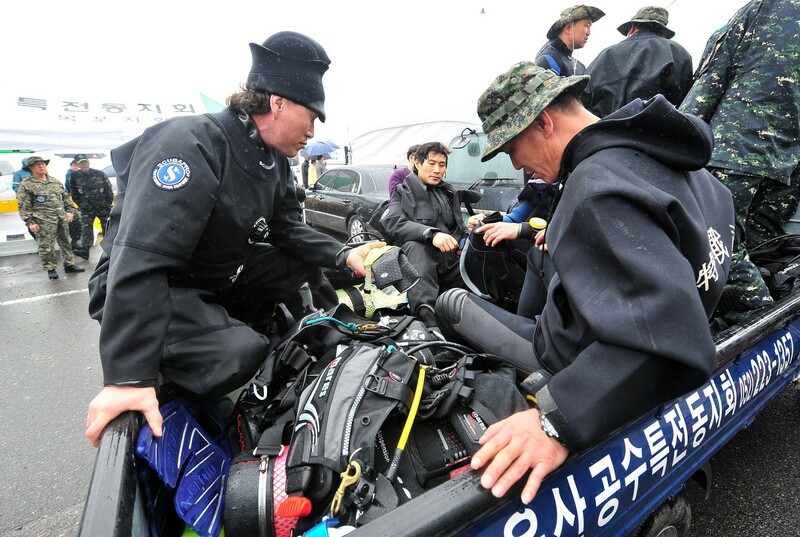 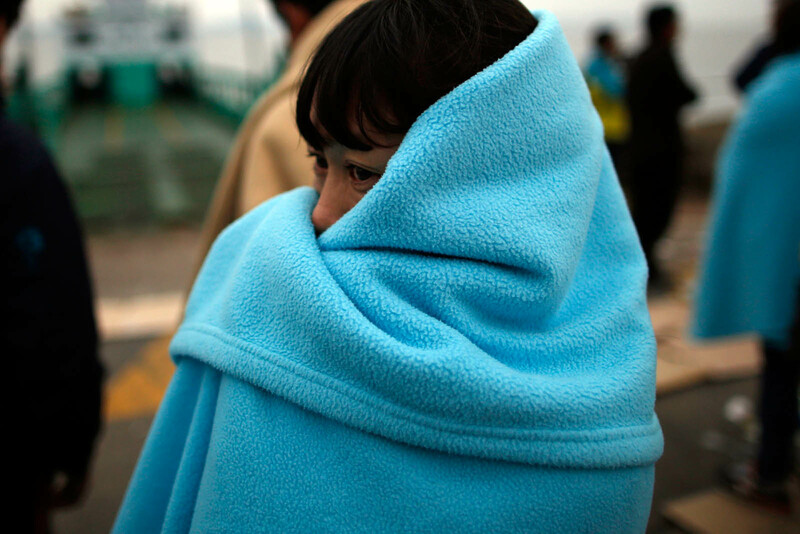 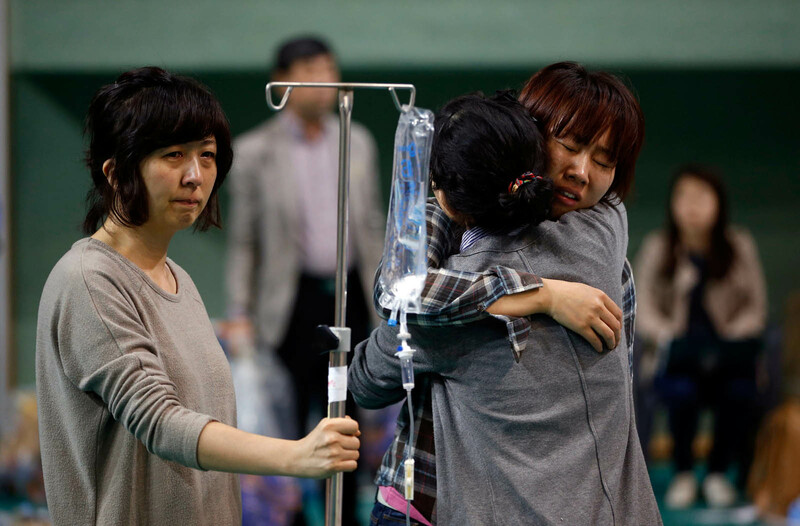 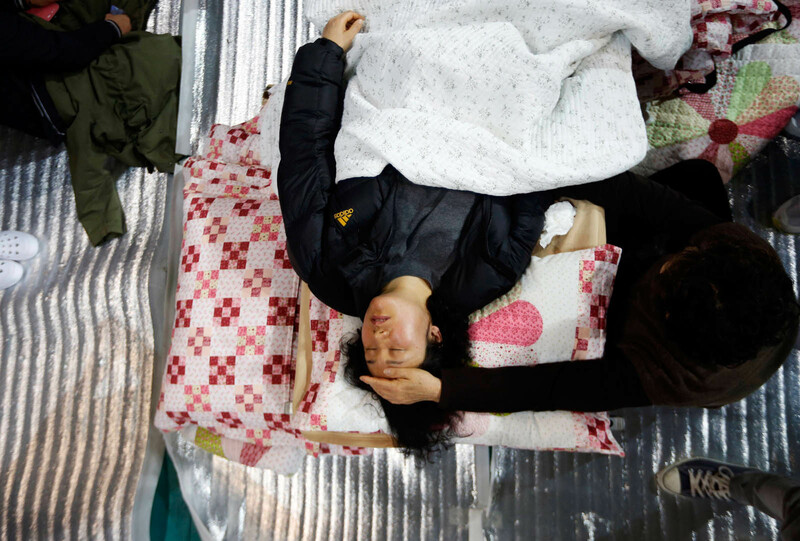 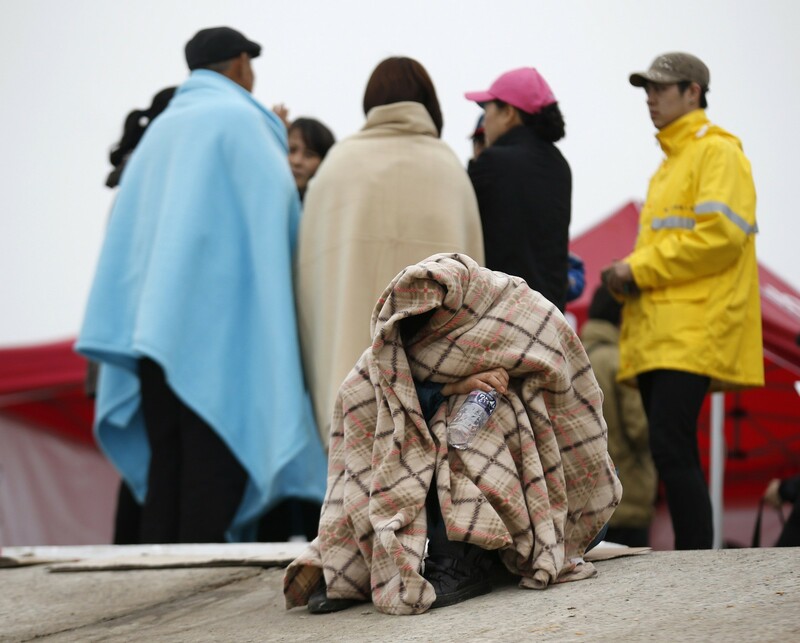 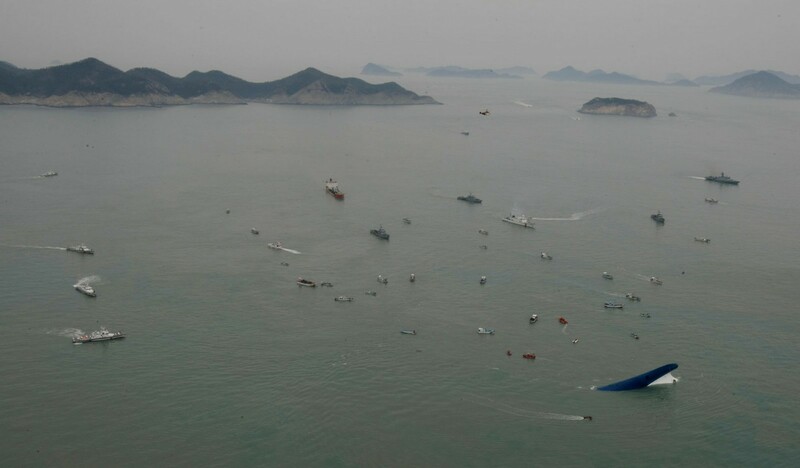 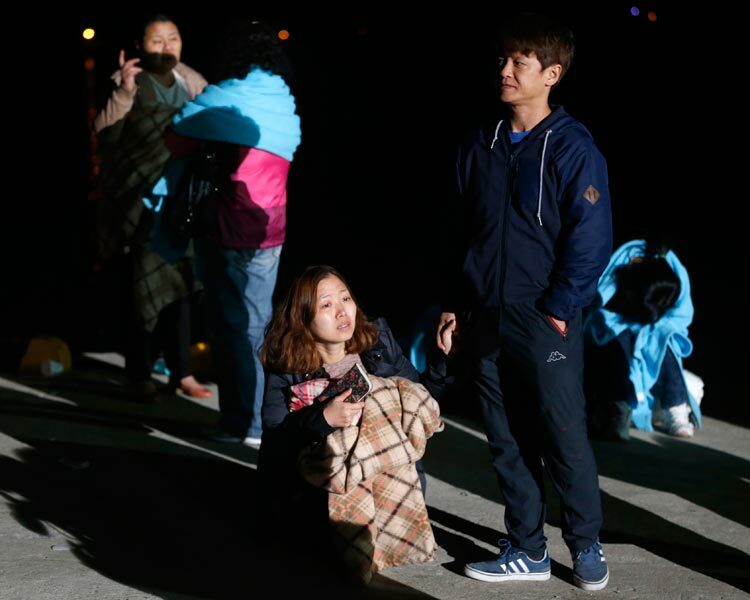 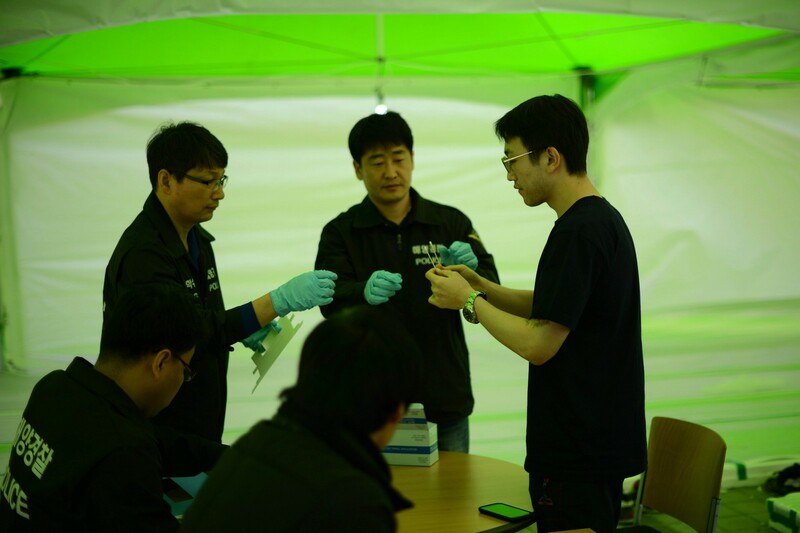 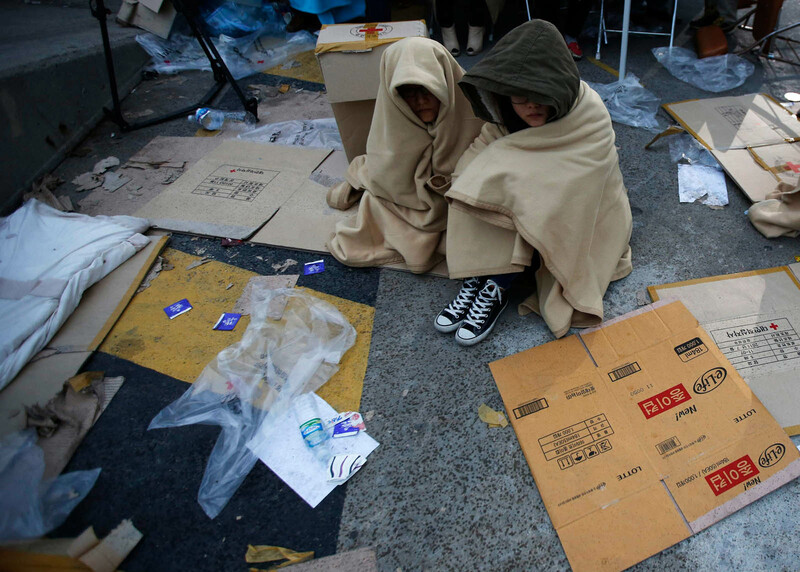 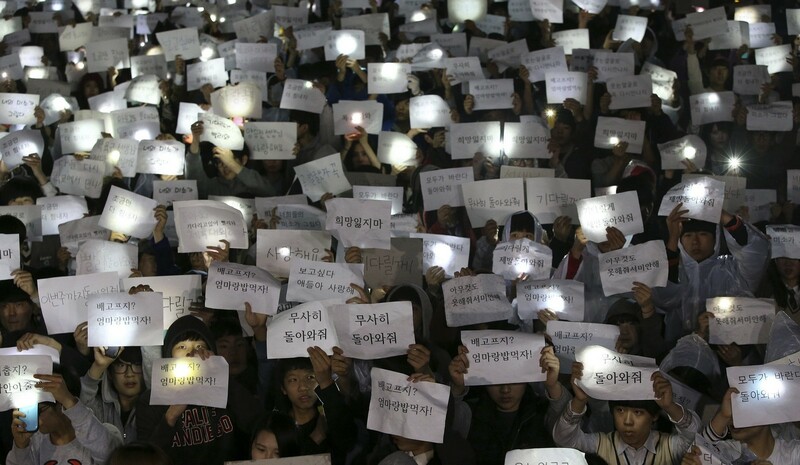 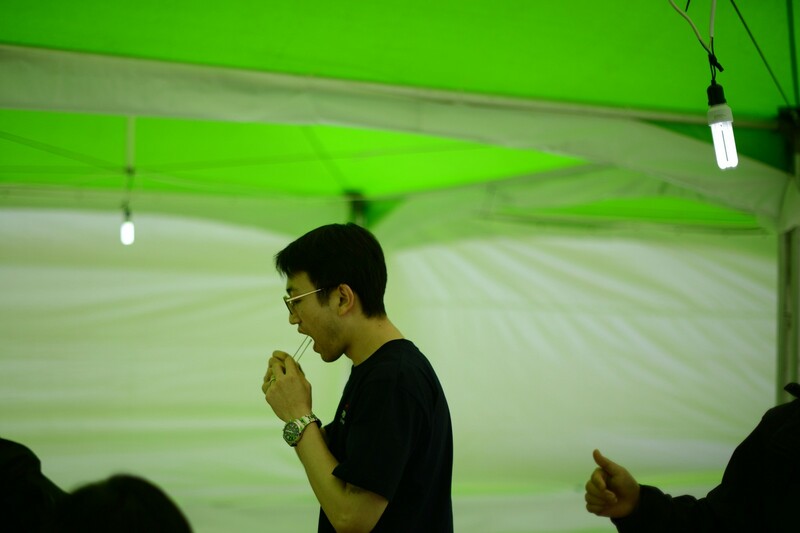 As the scale of the tragedy became apparent, Lee, who qualified as a diving instructor in 2008, packed his dive gear in his car and drove 160 miles (256 km) to Jindo island where a massive rescue effort was taking shape. 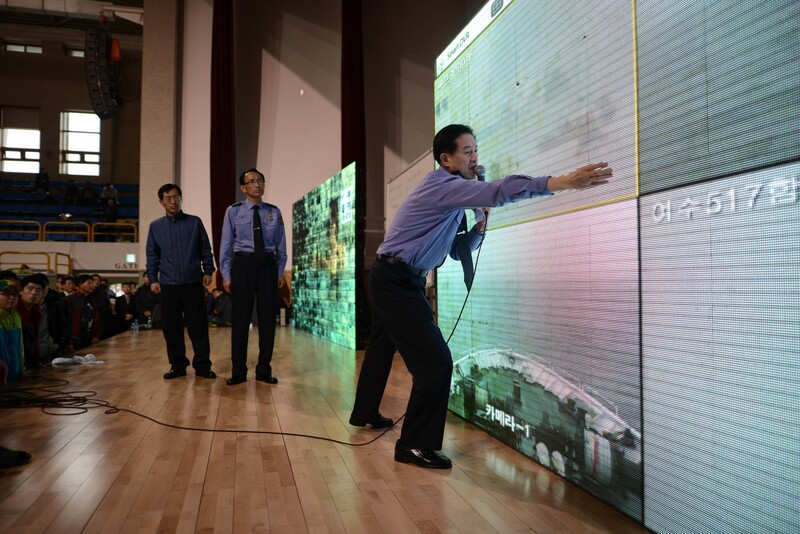 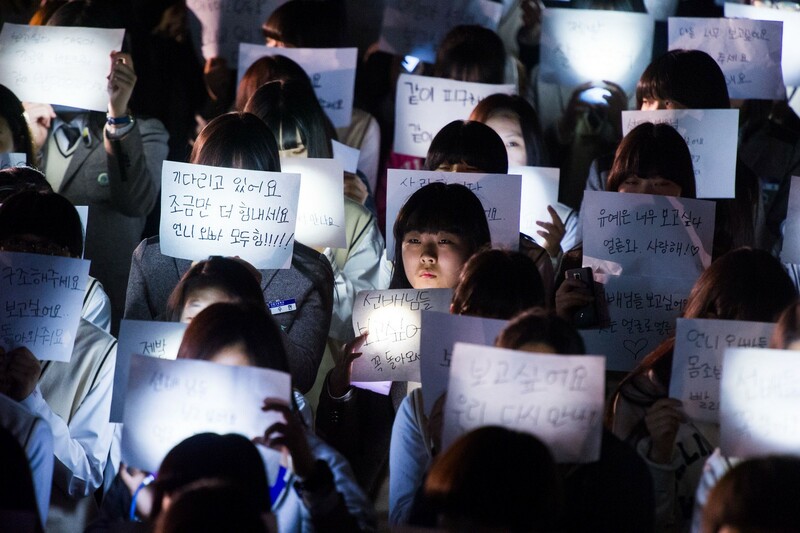 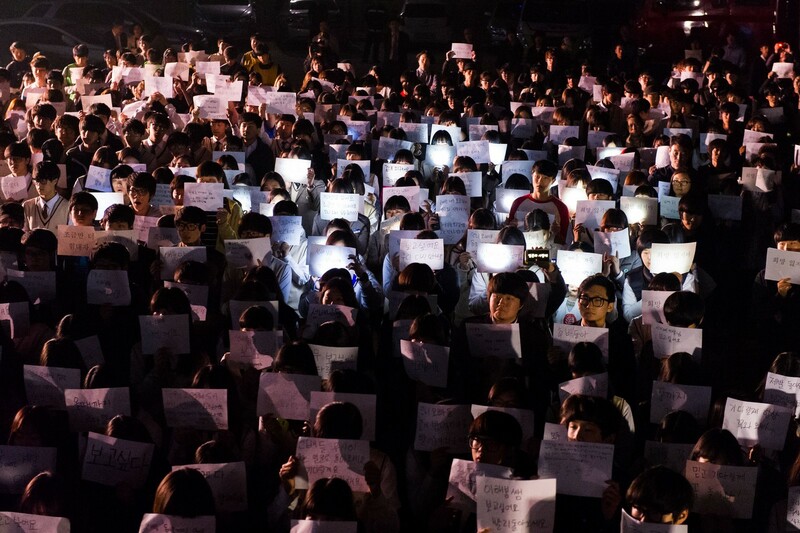 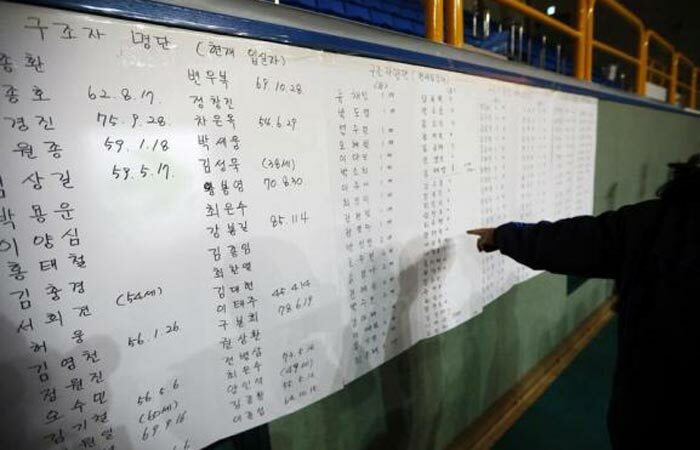 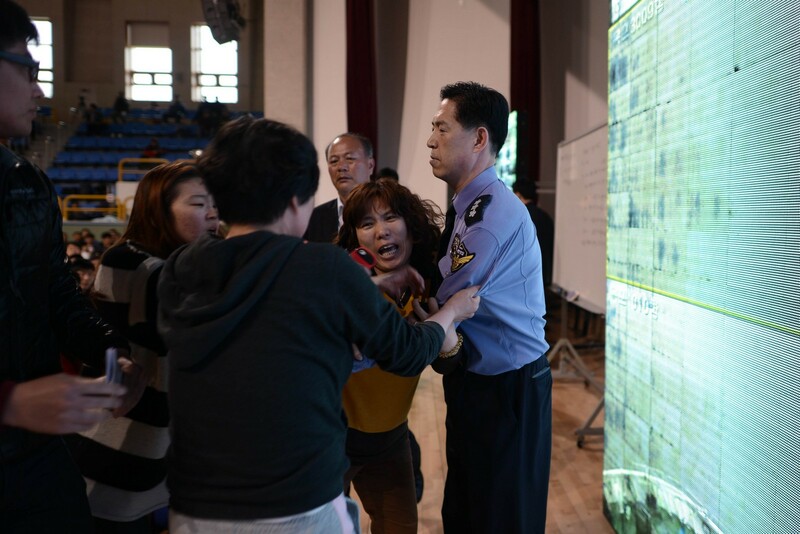 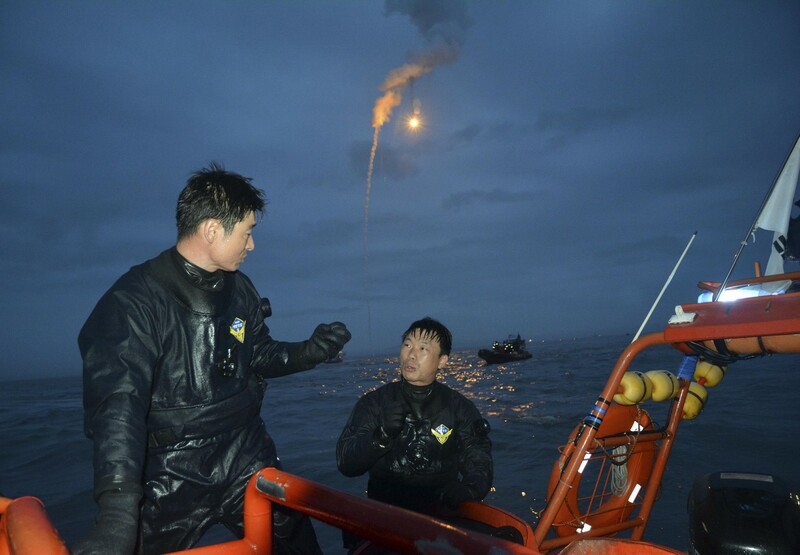 There he found scores of other civilian divers who had come individually or with their clubs to volunteer in the search for survivors in the submerged ferry, that was carrying 476 people - most of them high school students - when it sank. 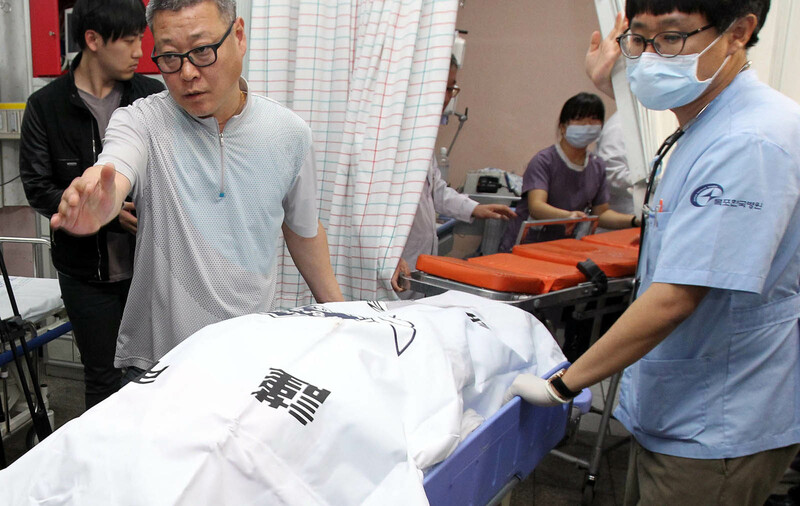 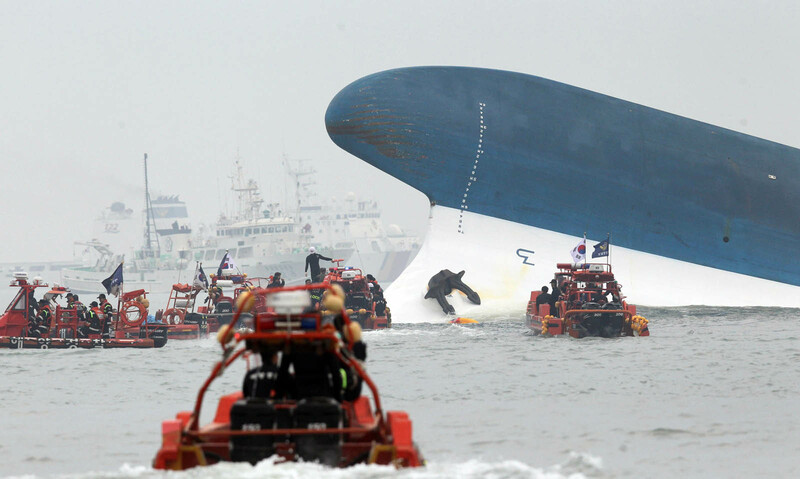 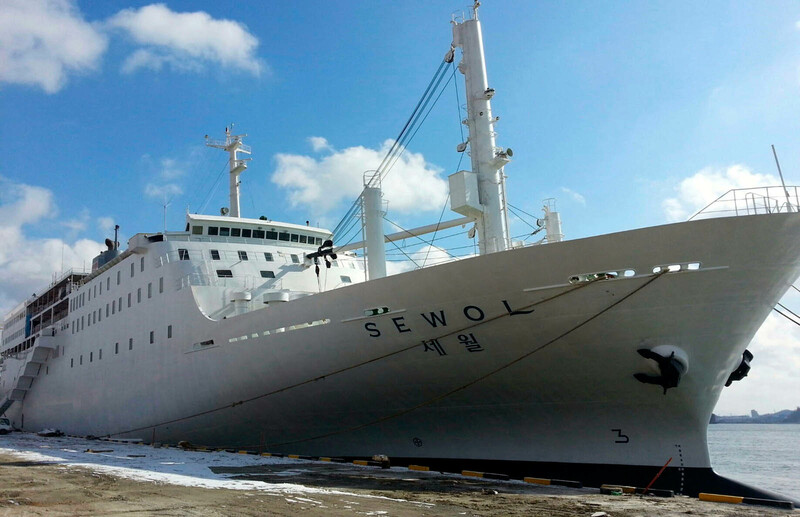 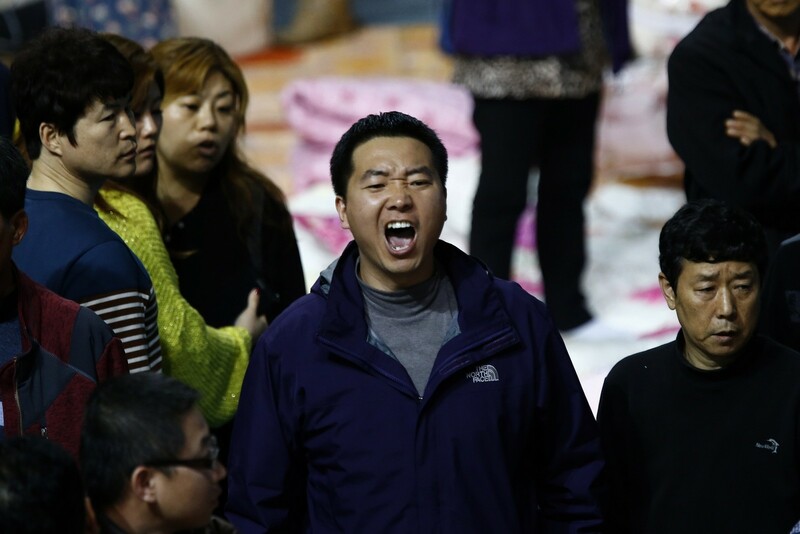 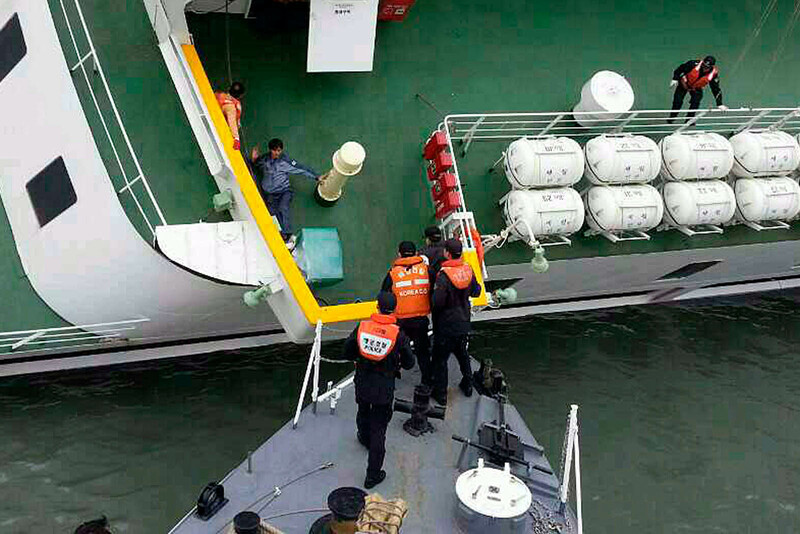 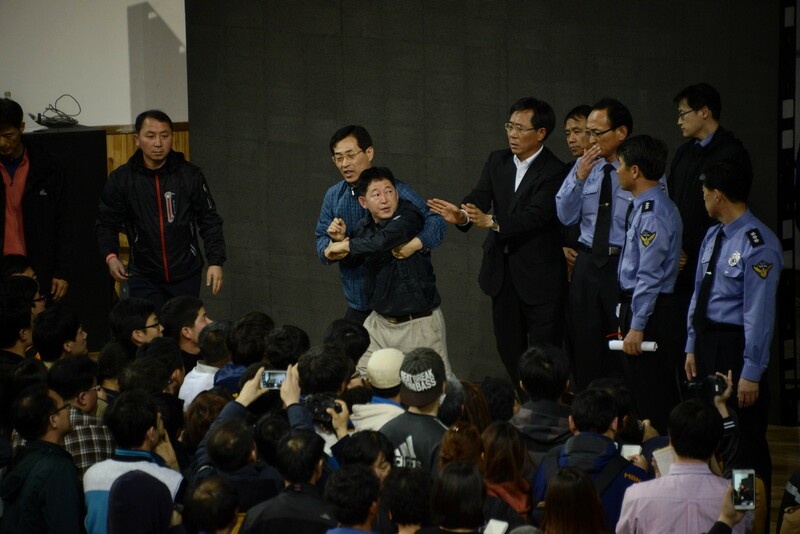 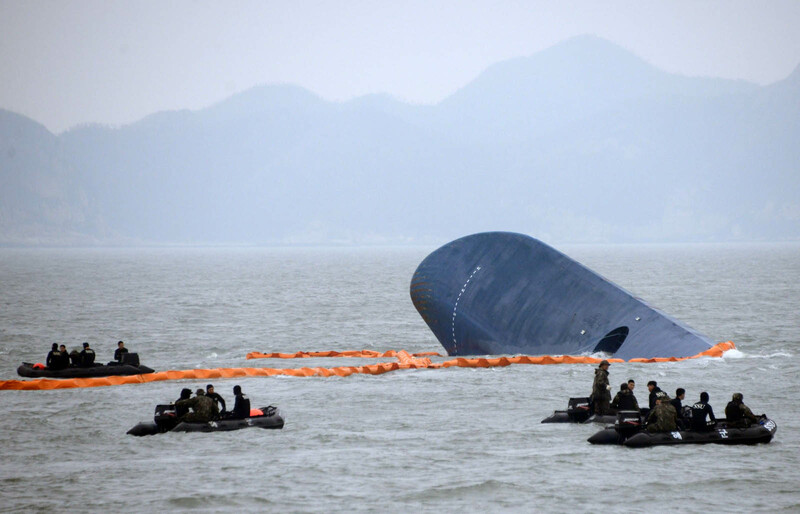 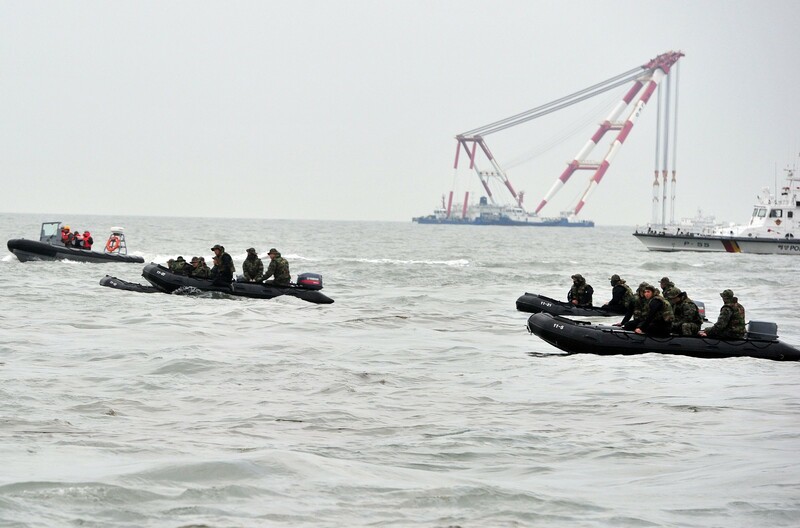 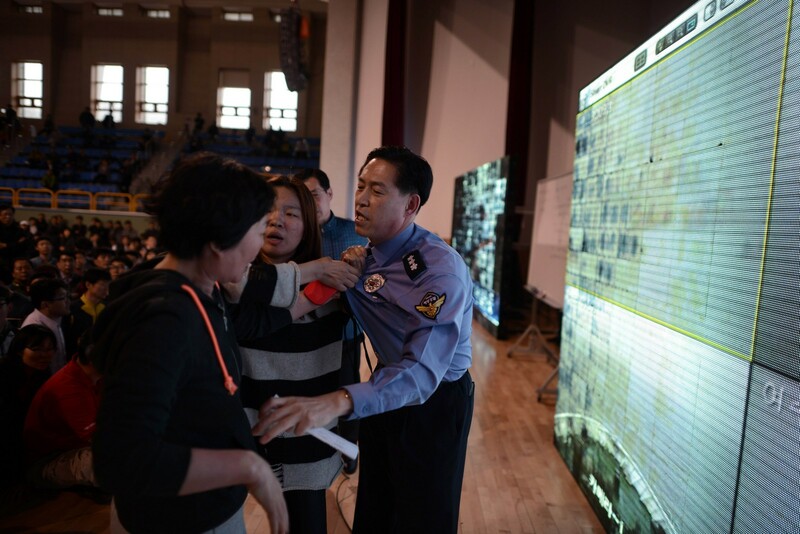 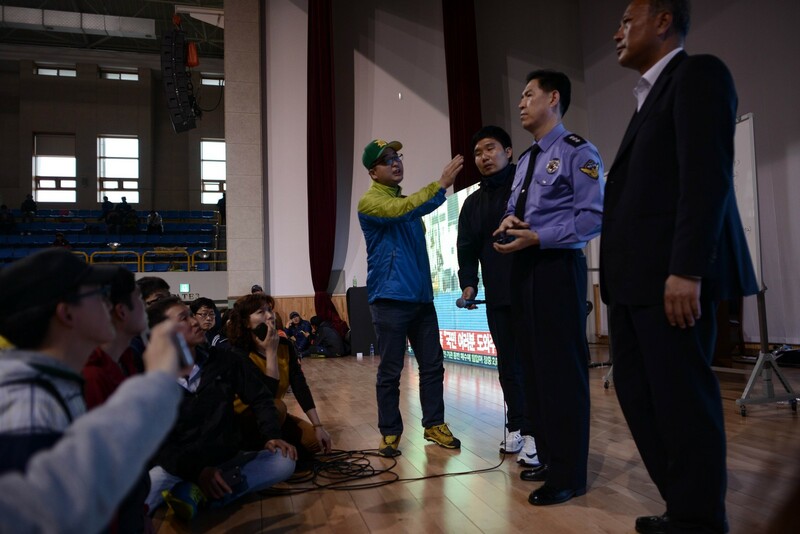 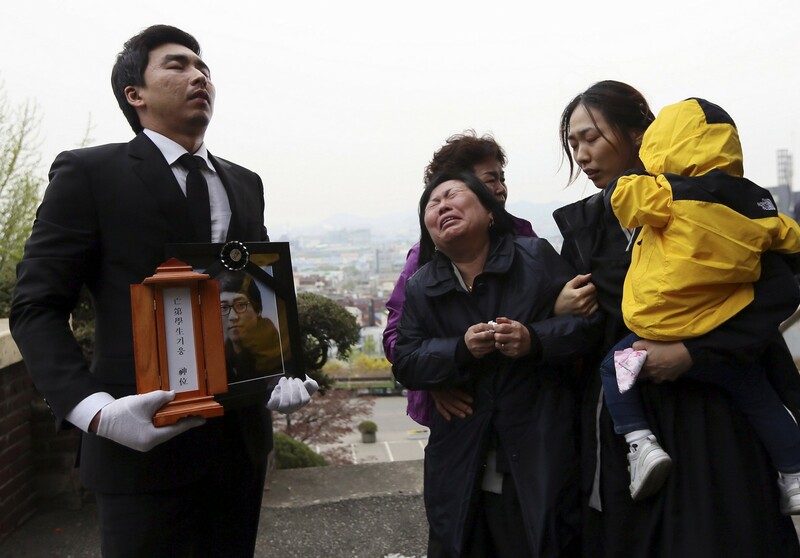 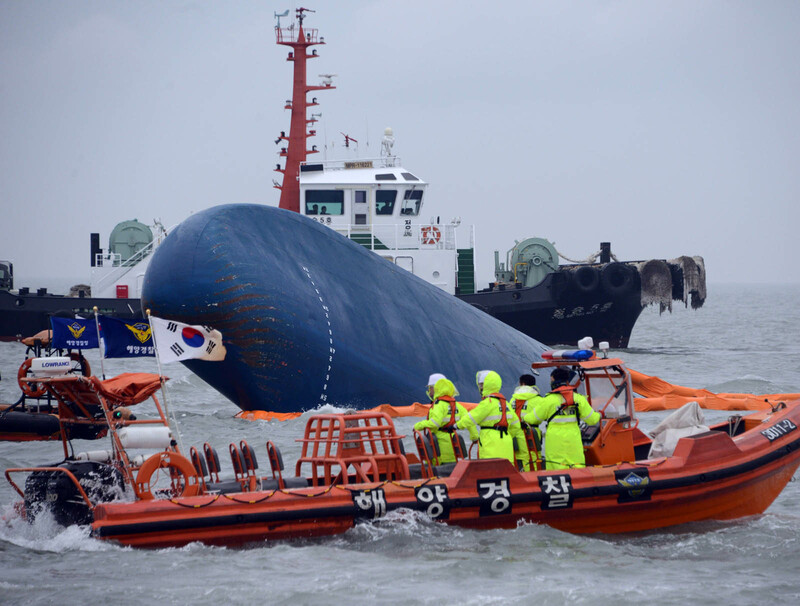 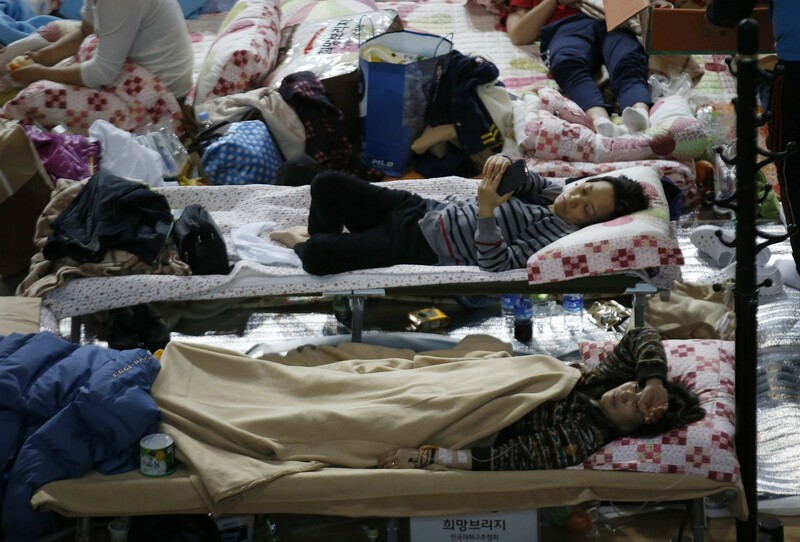 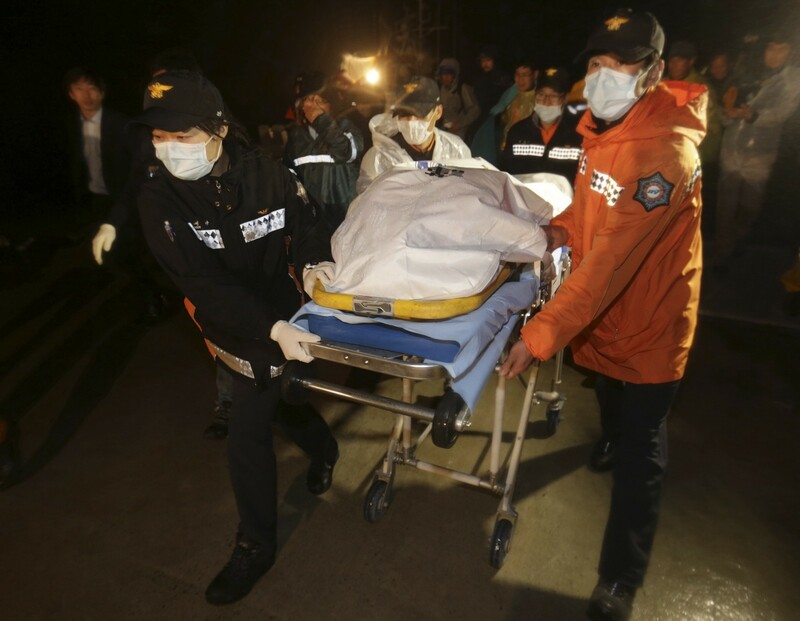 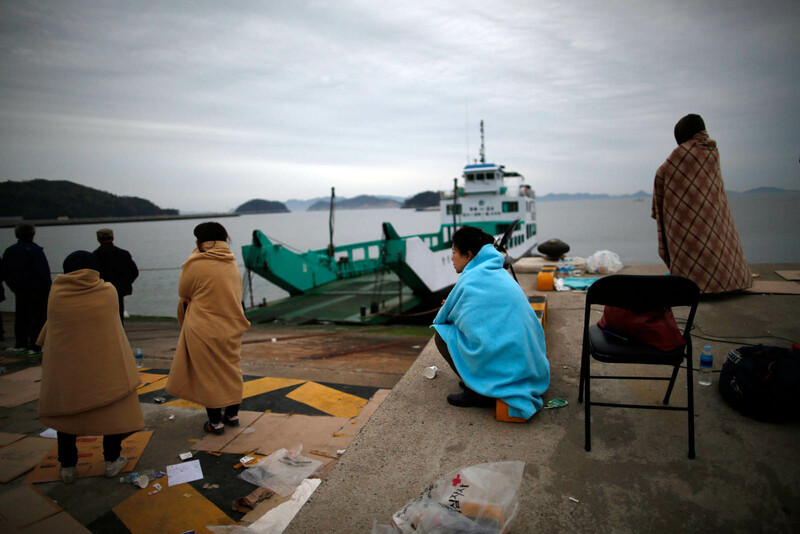 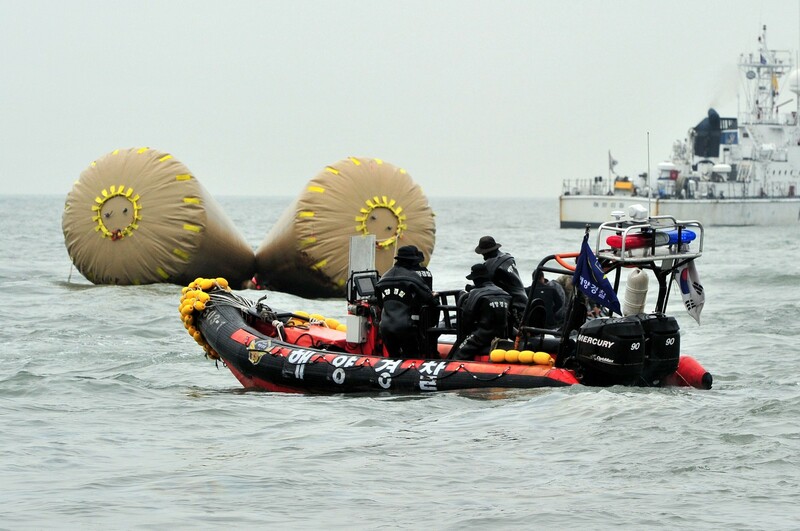 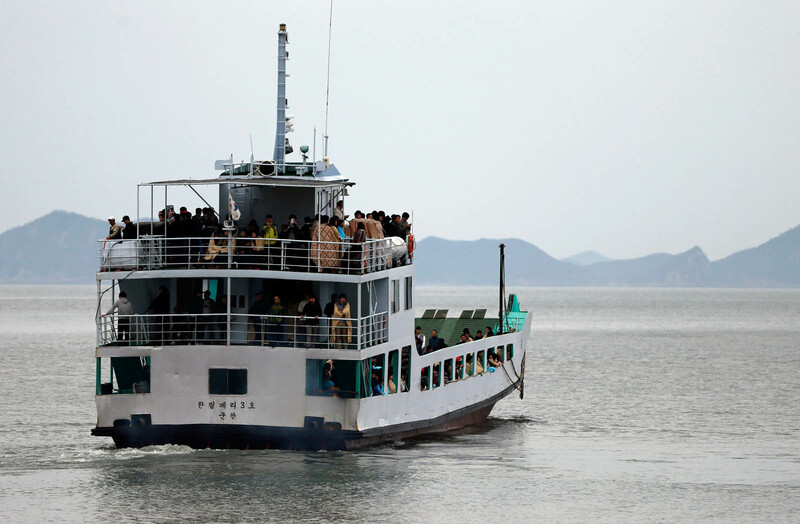 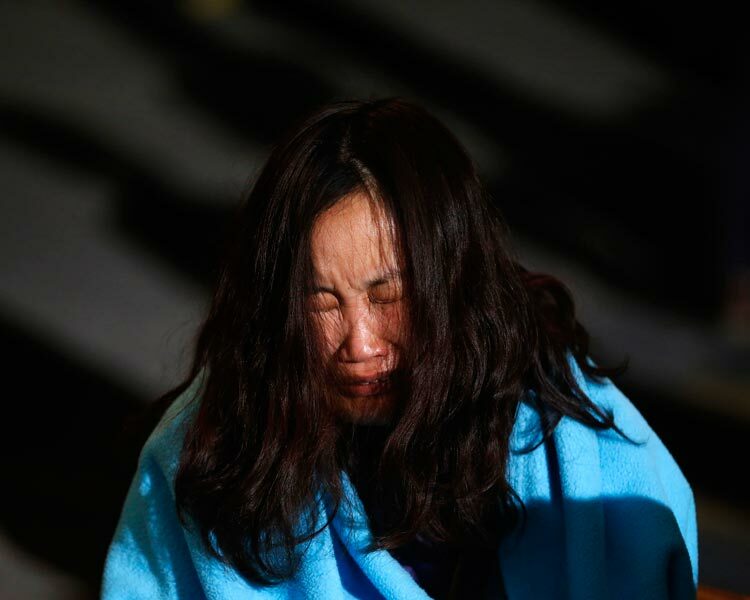 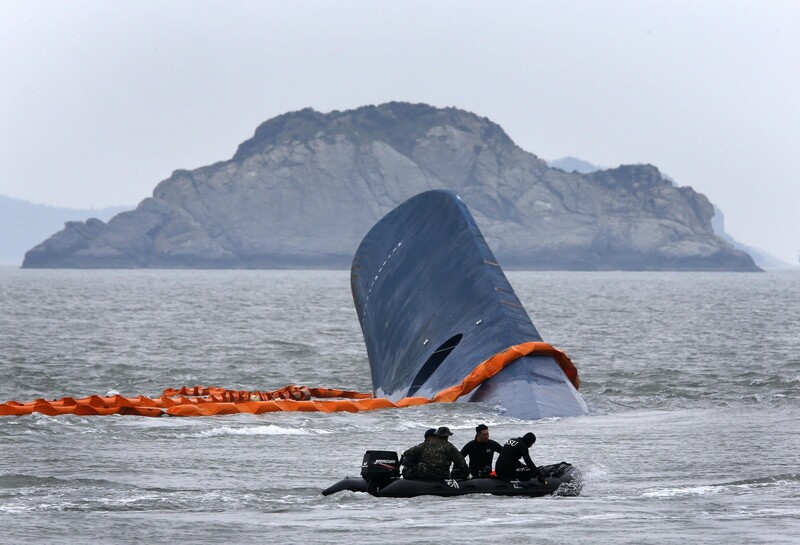 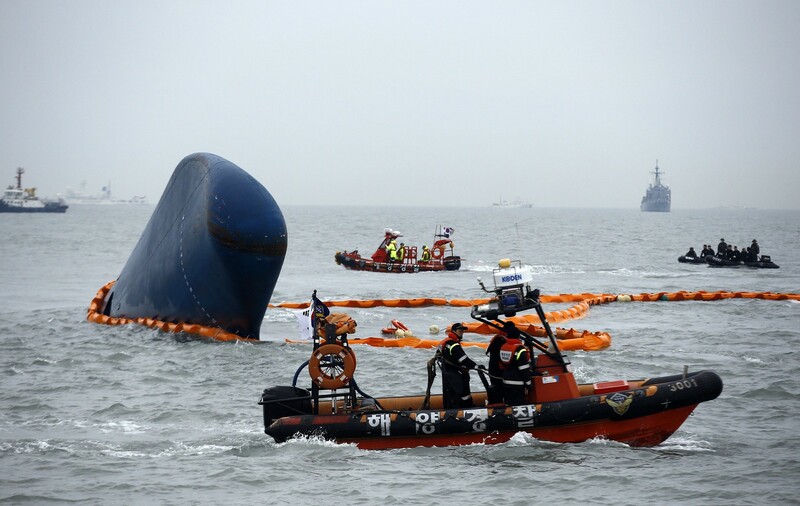 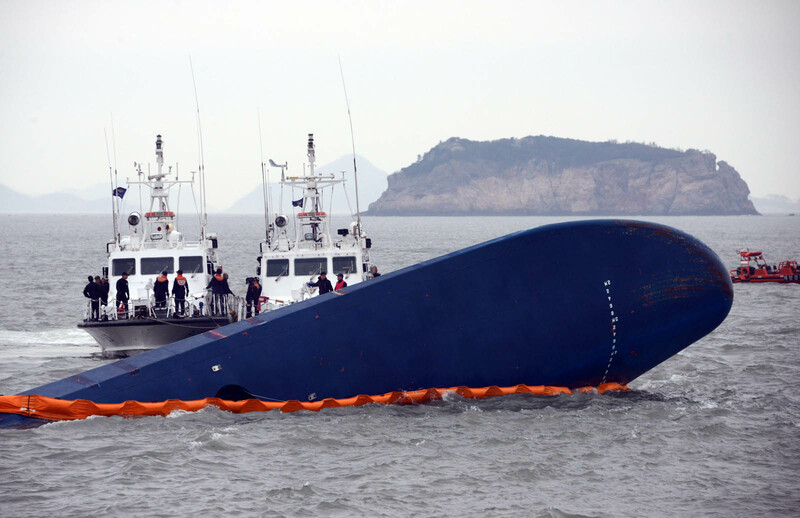 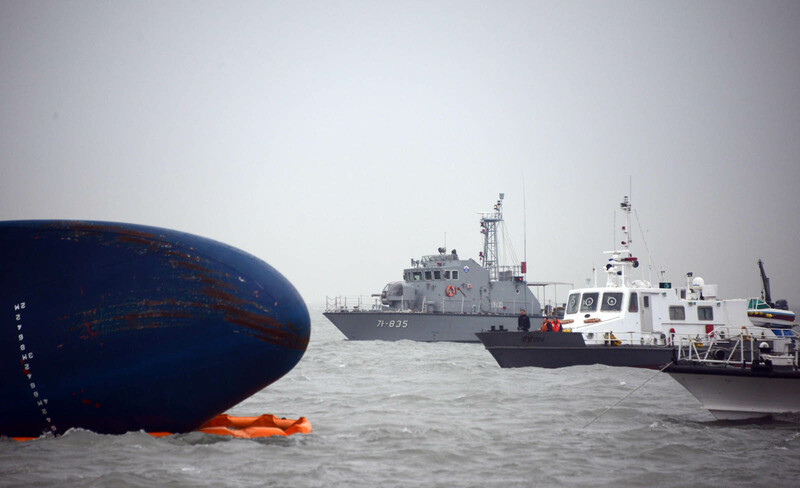 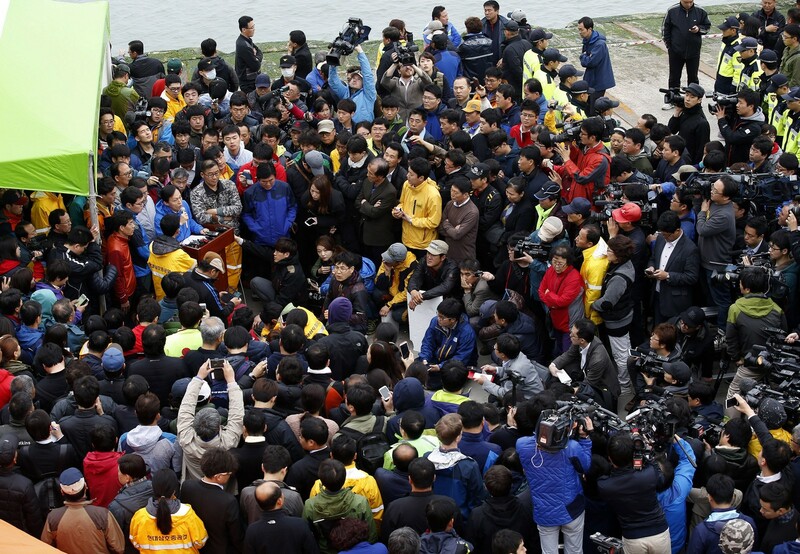 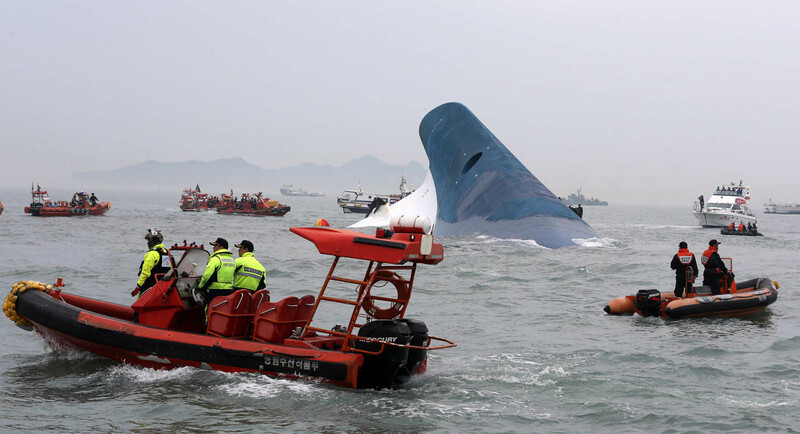 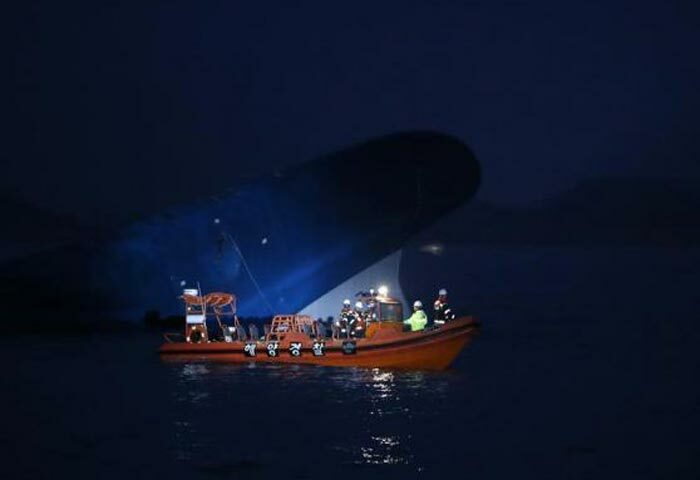 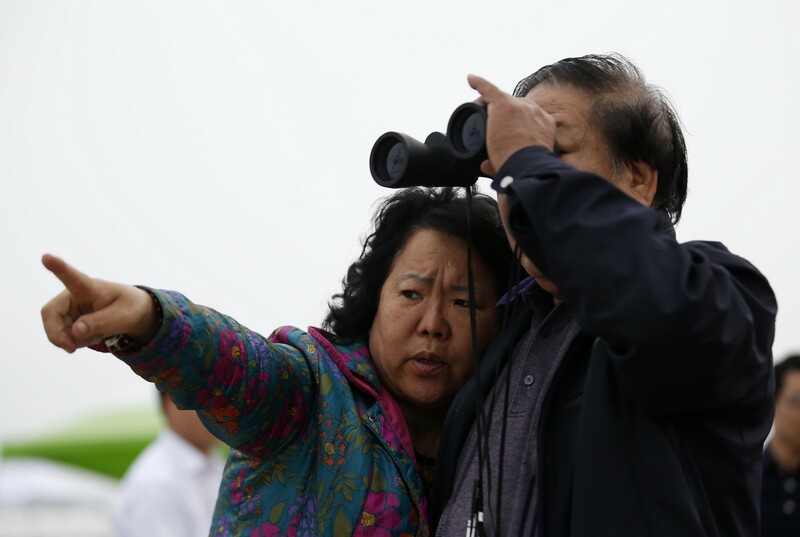 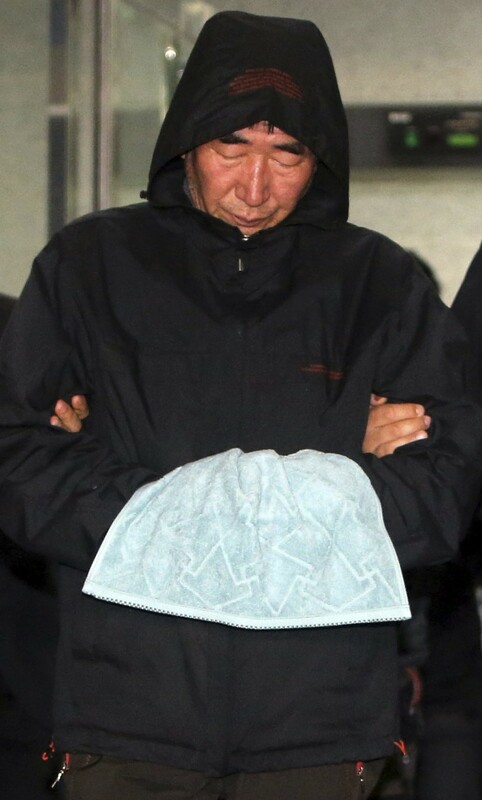 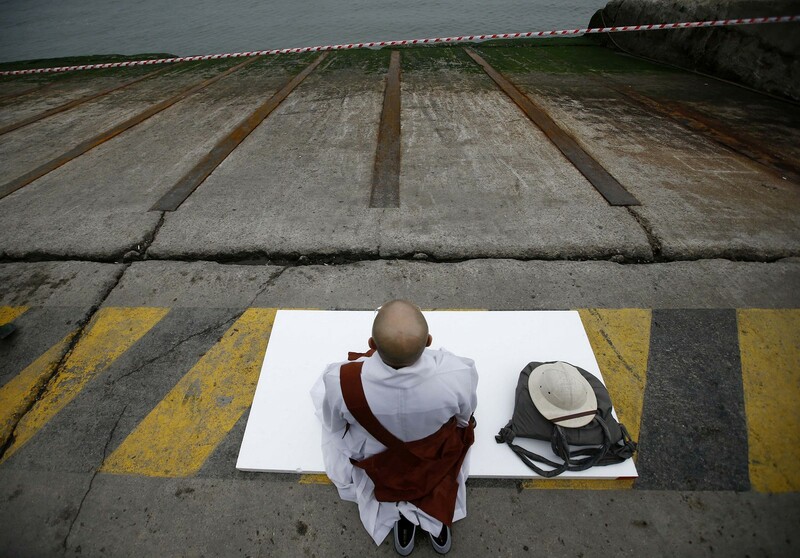 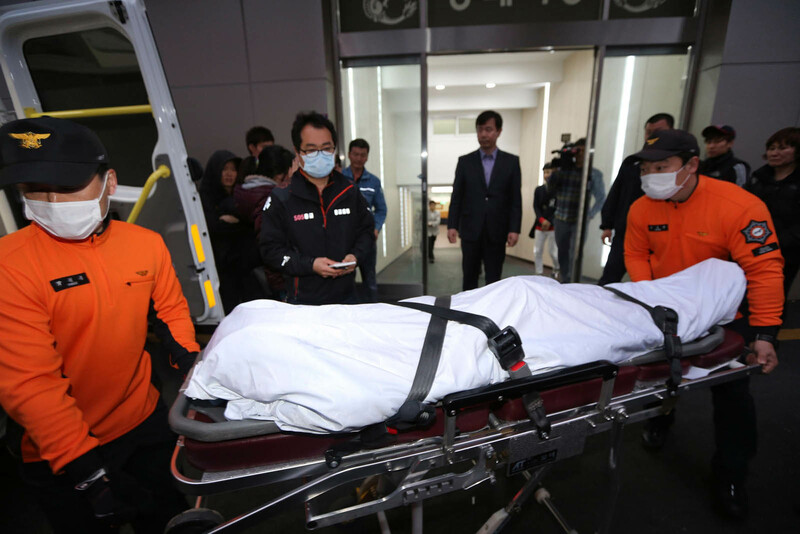 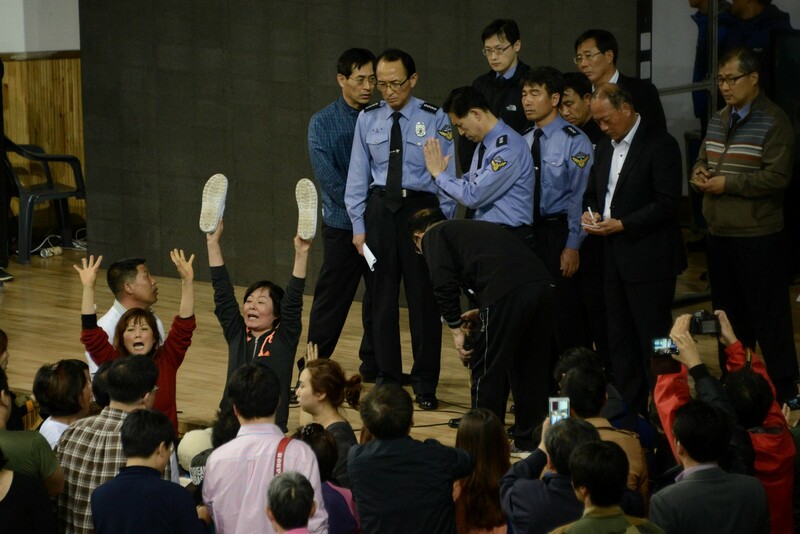 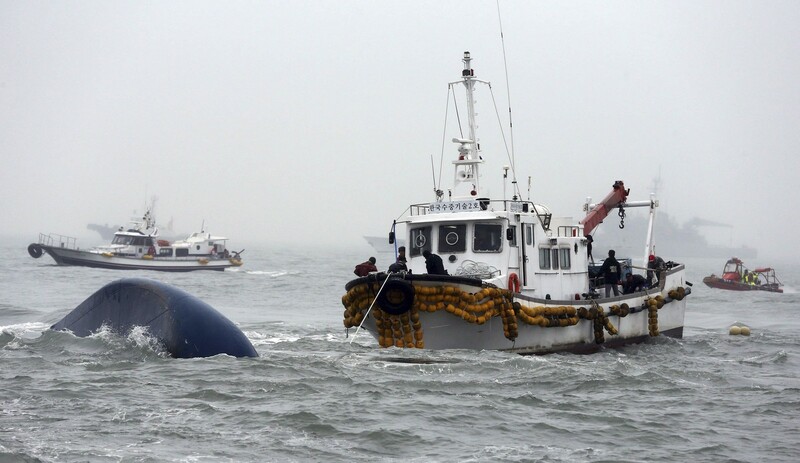 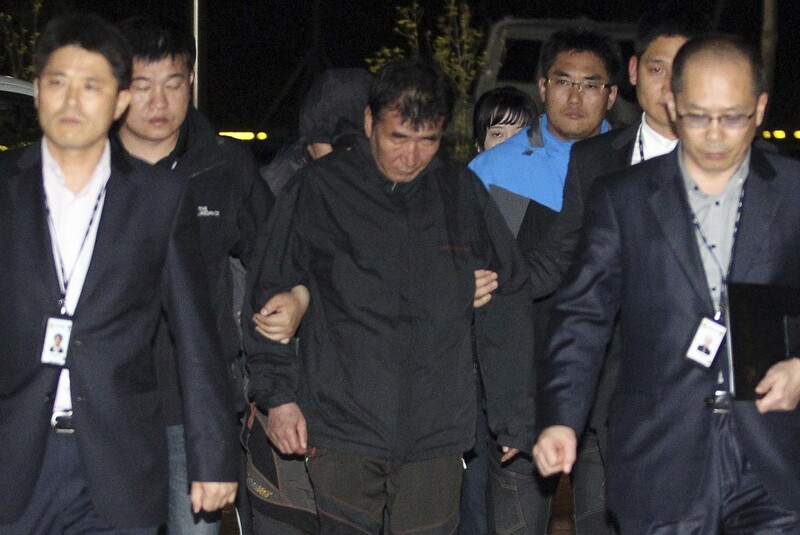 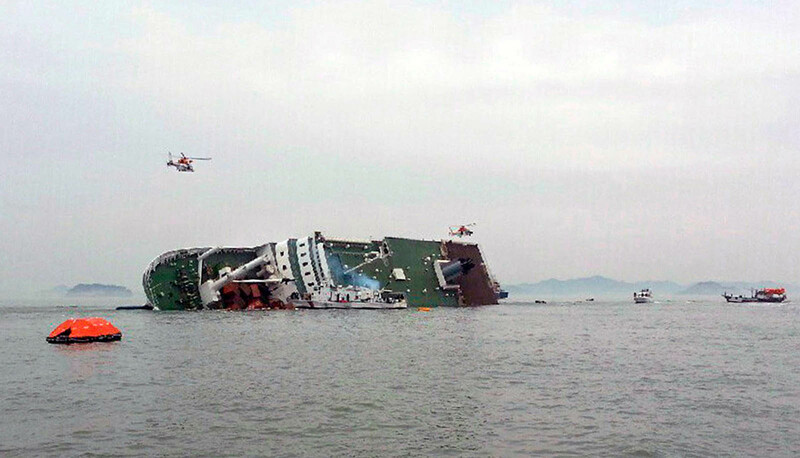 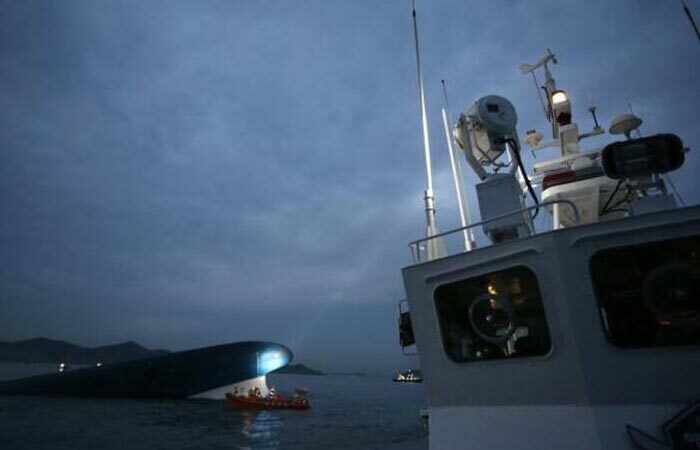 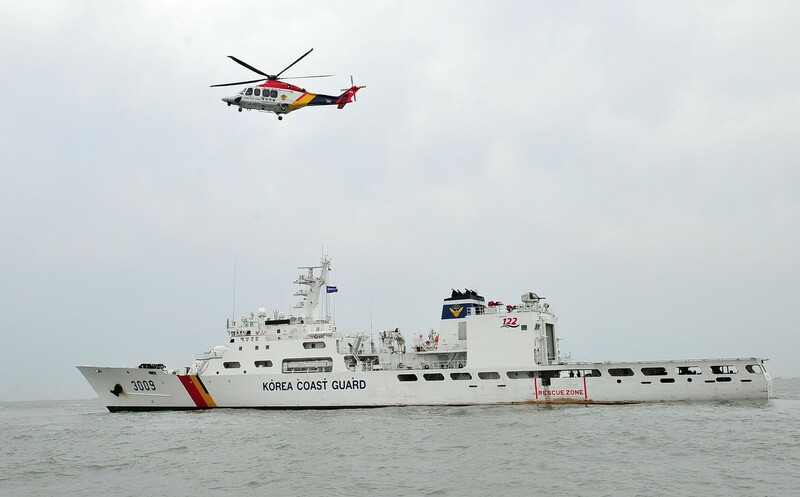 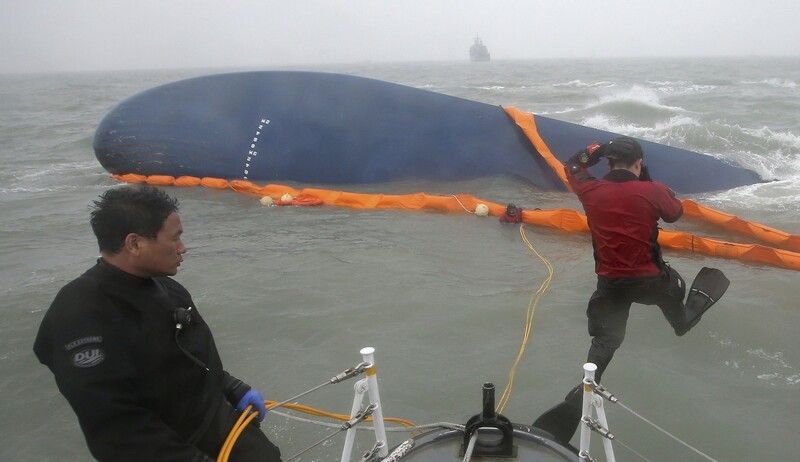 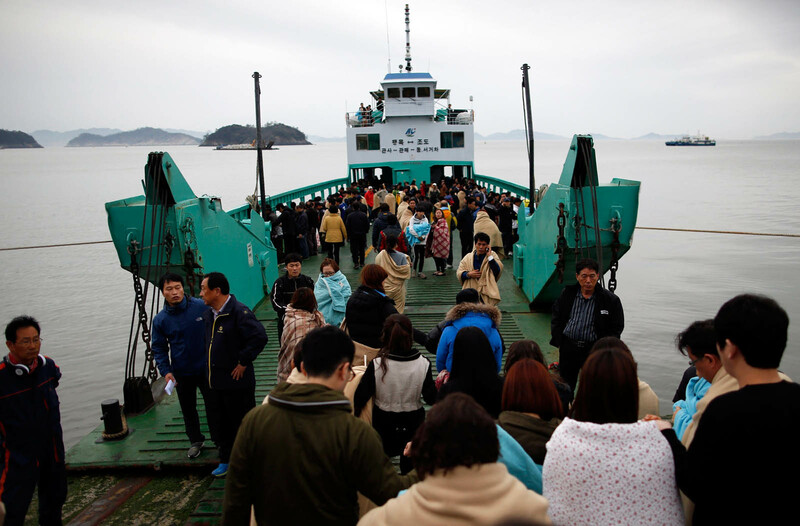 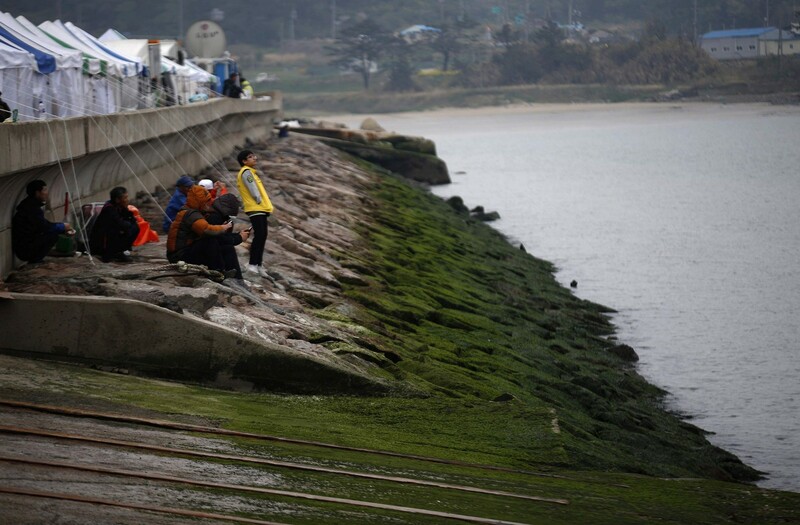 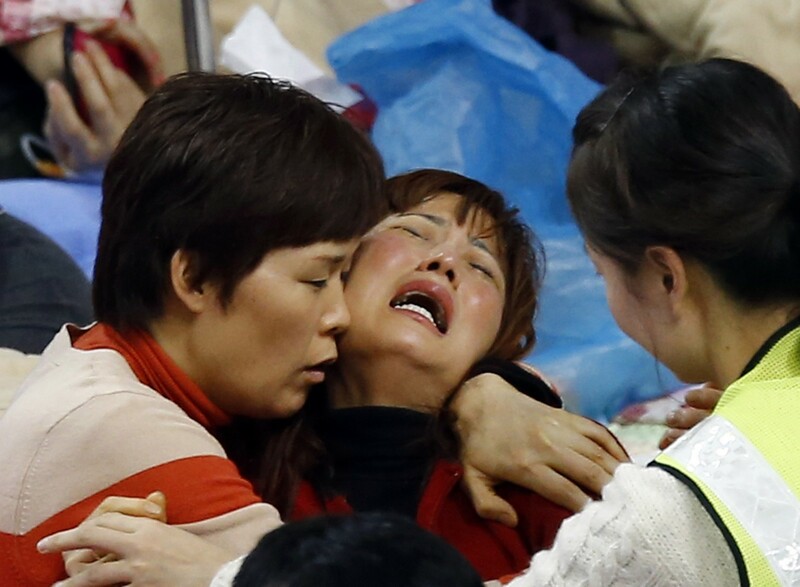 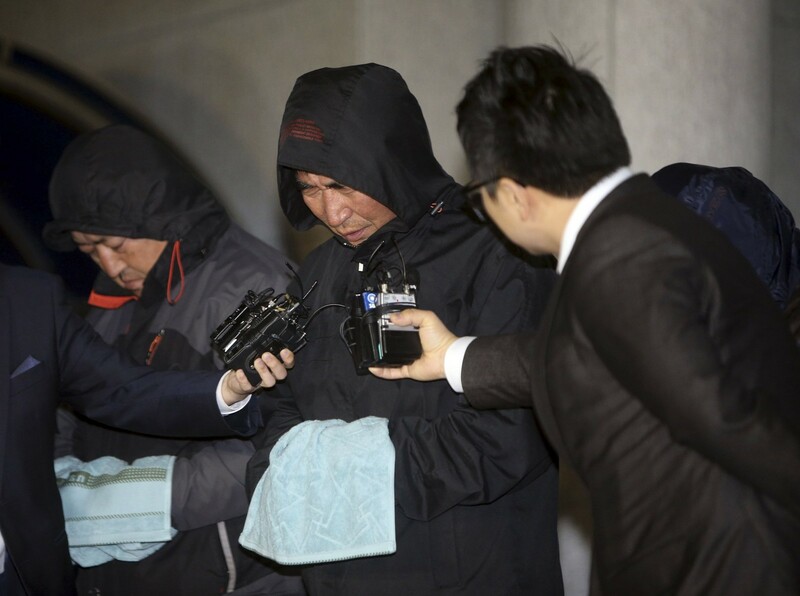 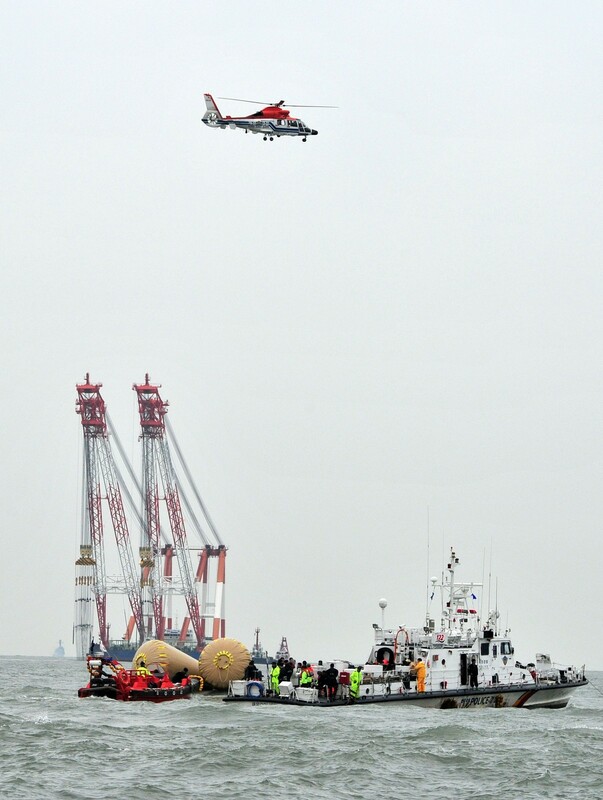 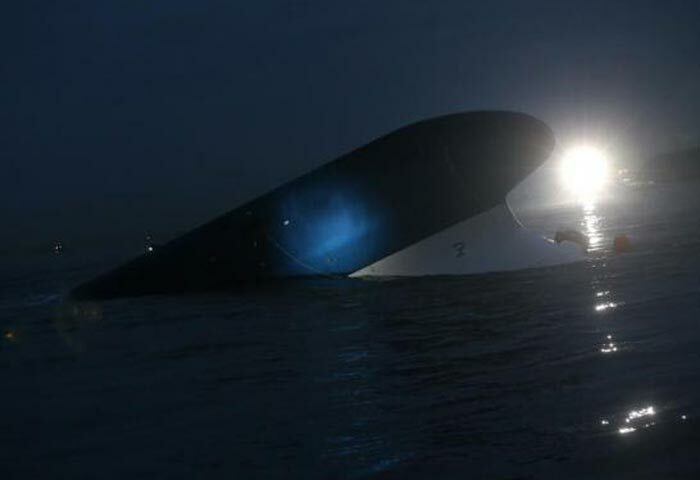 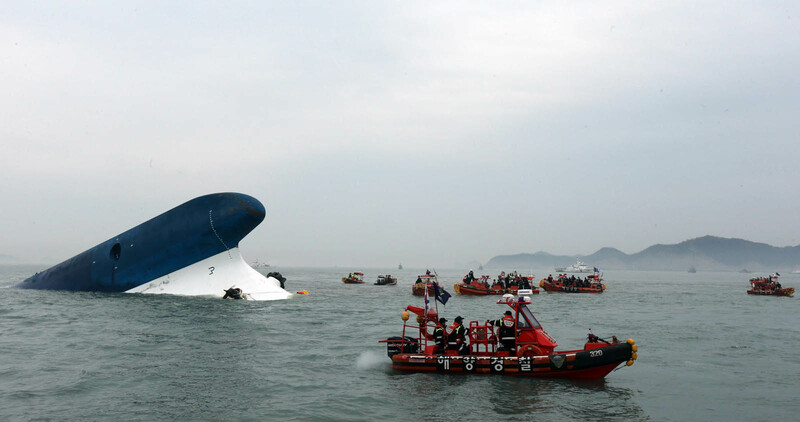 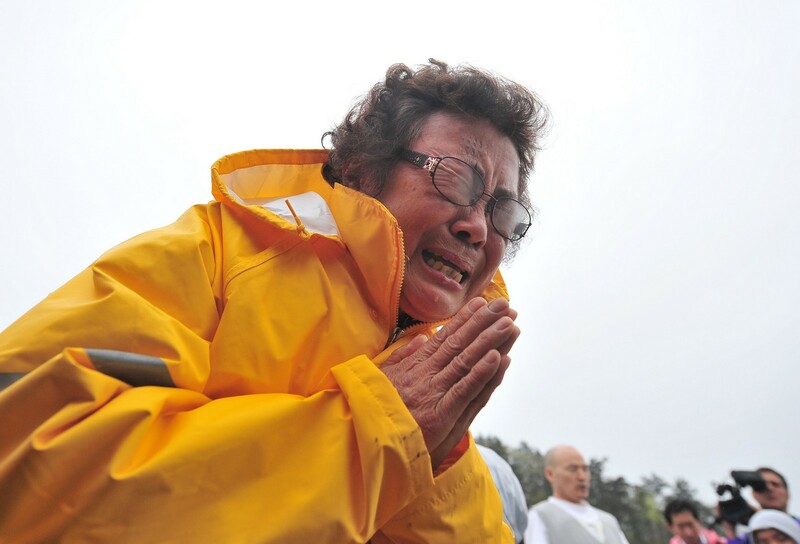 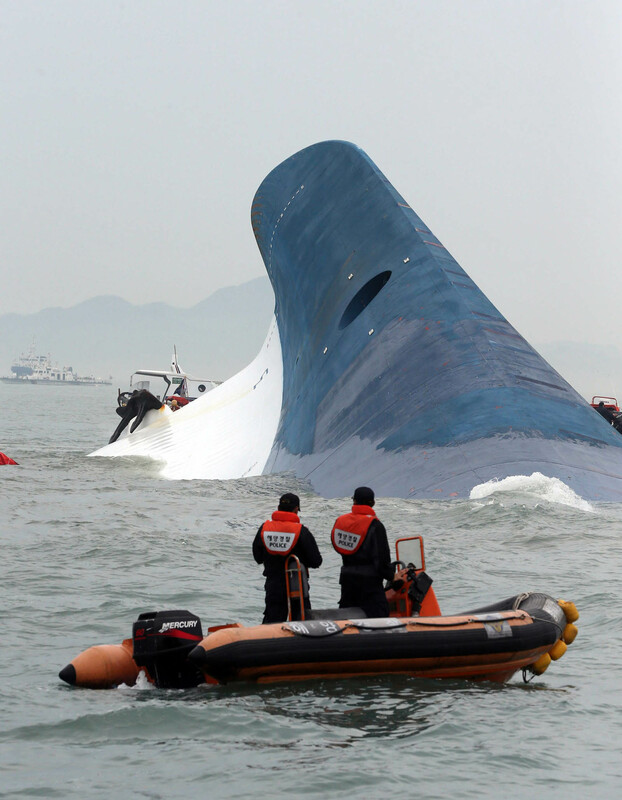 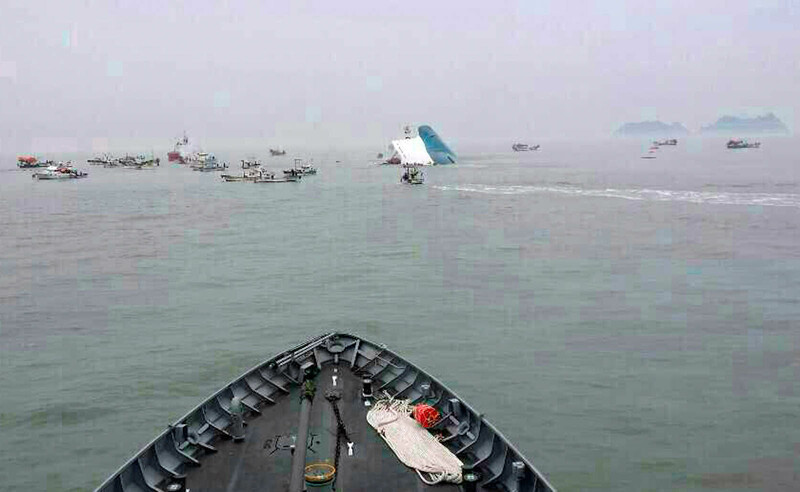 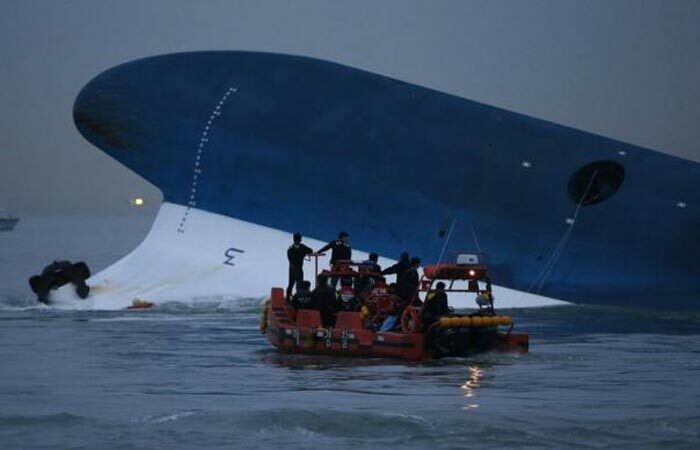 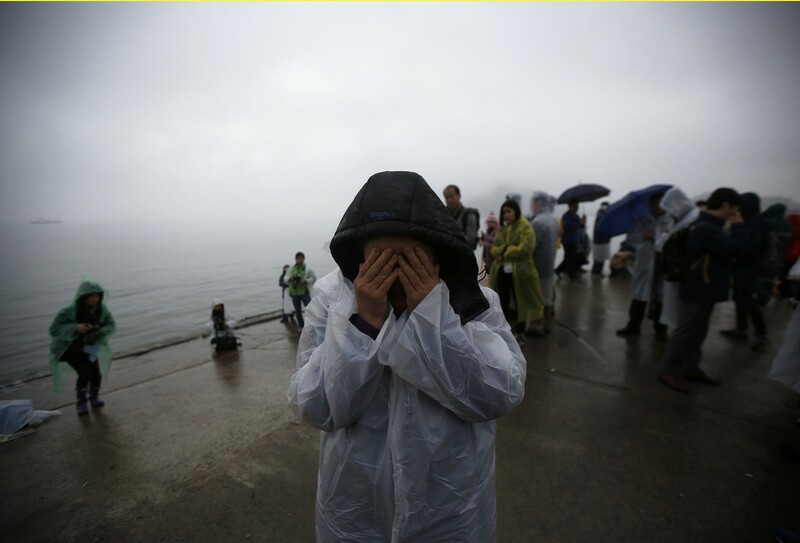 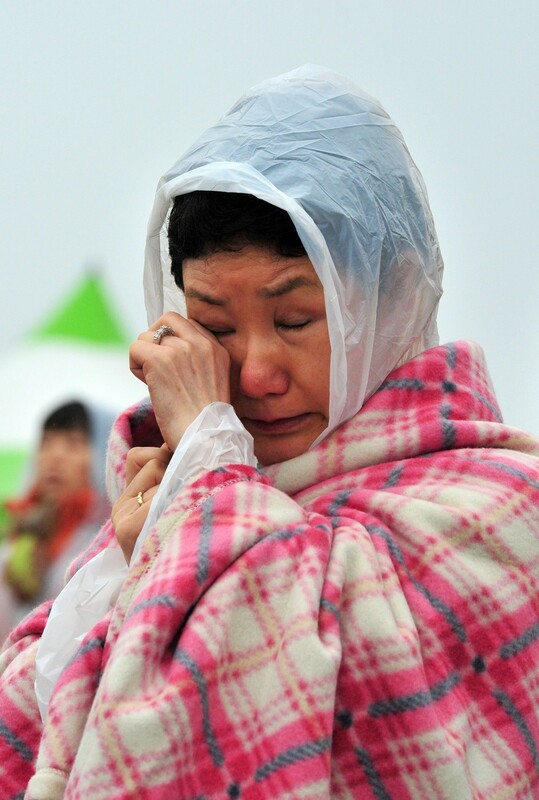 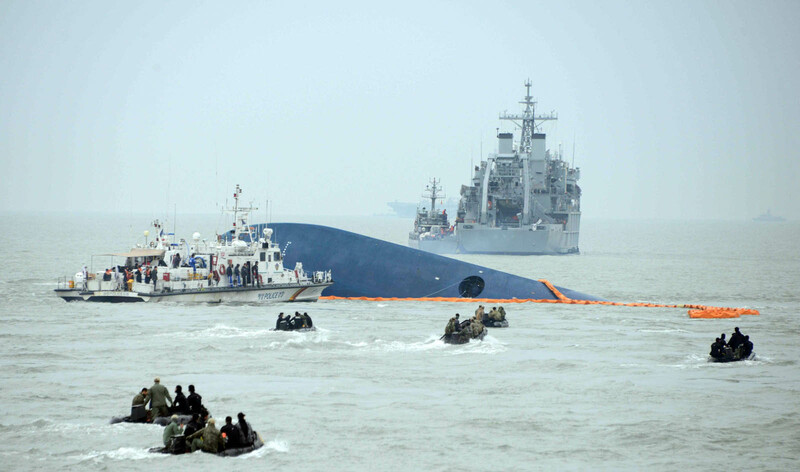 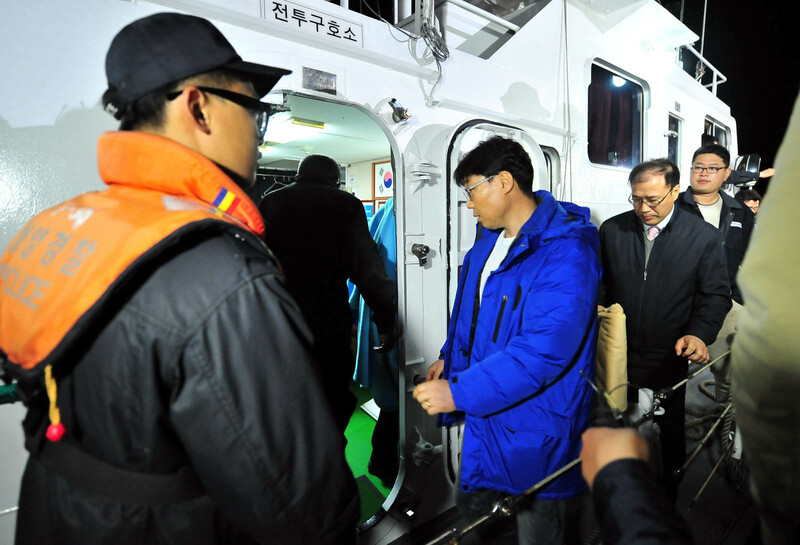 "I have two young sons of my own," Lee told AFP in Jindo harbour Monday as he prepared to leave for another underwater search of the 6,825-tonne ship. 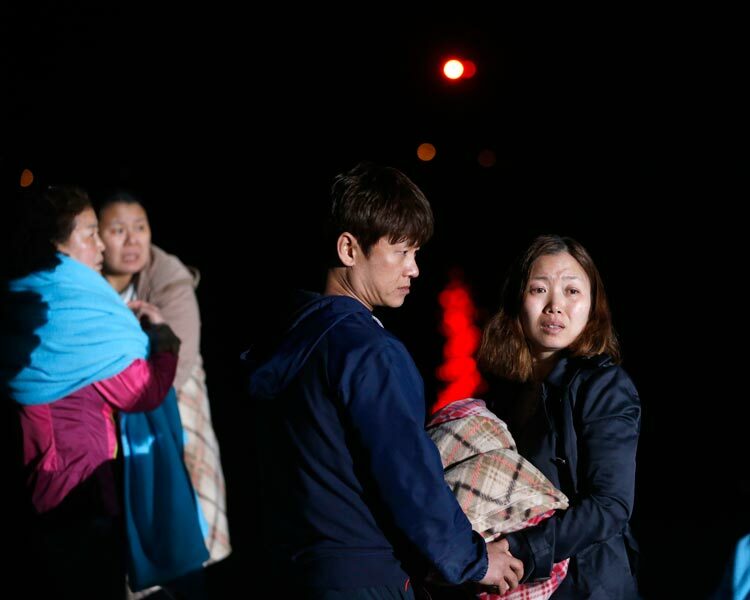 "The thought of all those schoolchildren trapped or worse was just unbearable, and I thought I had a duty to try and help save them," he said. 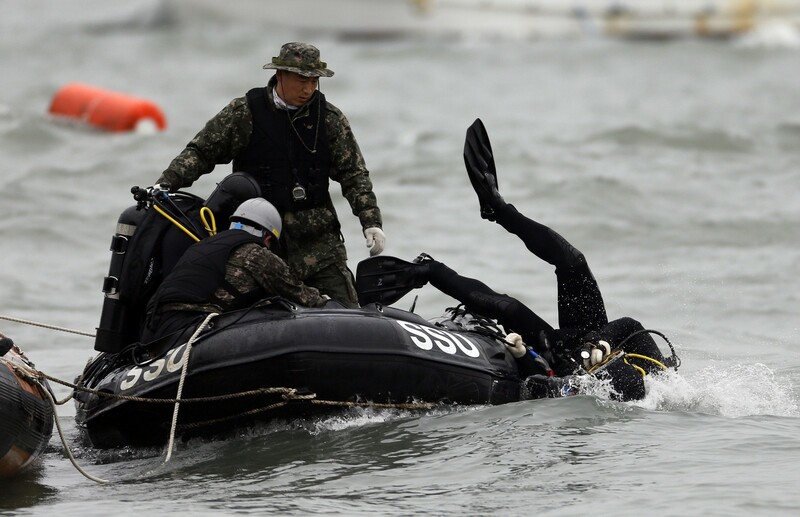 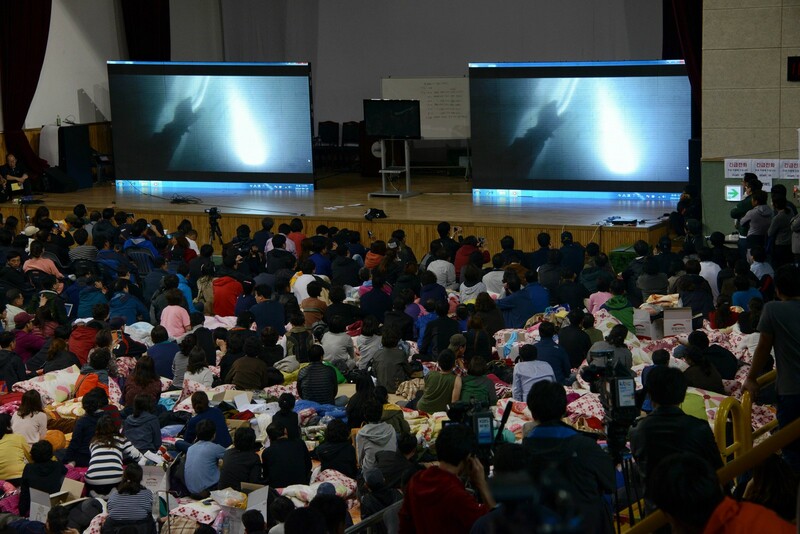 More than 500 divers, including elite South Korean navy seals, have been taking part in the rescue efforts - many of them civilian divers with no real experience of such work. 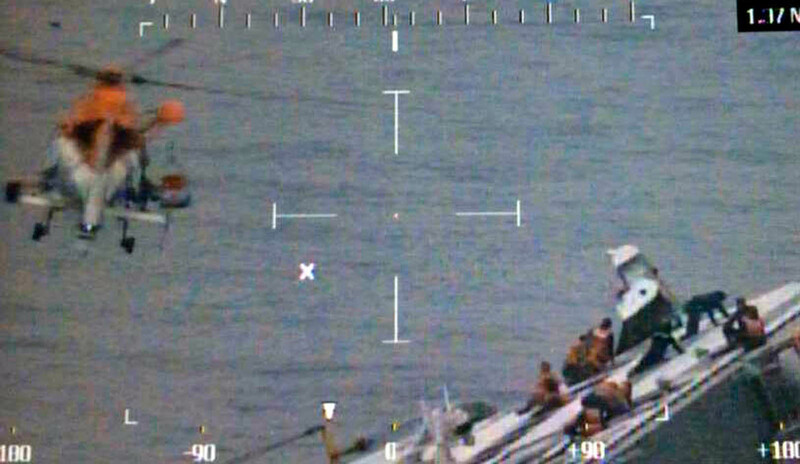 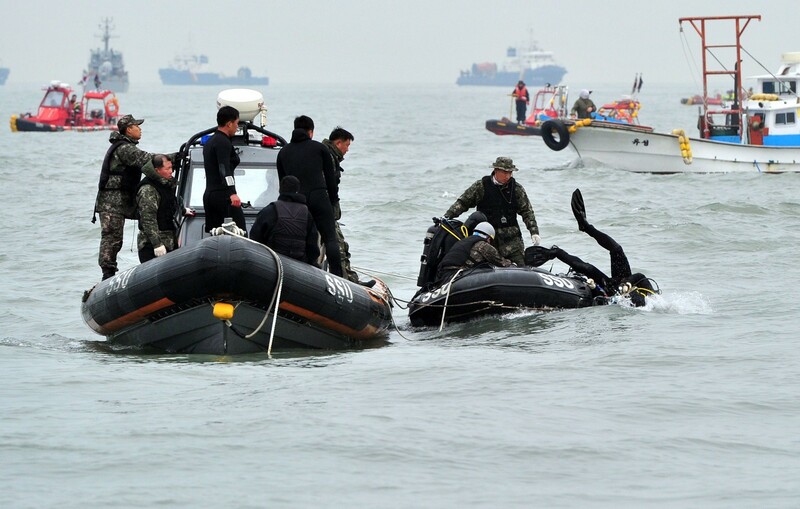 "It was a bit of a mess at the beginning," Lee acknowledged, with military, coastguard and civilian dive teams struggling to coordinate their efforts. 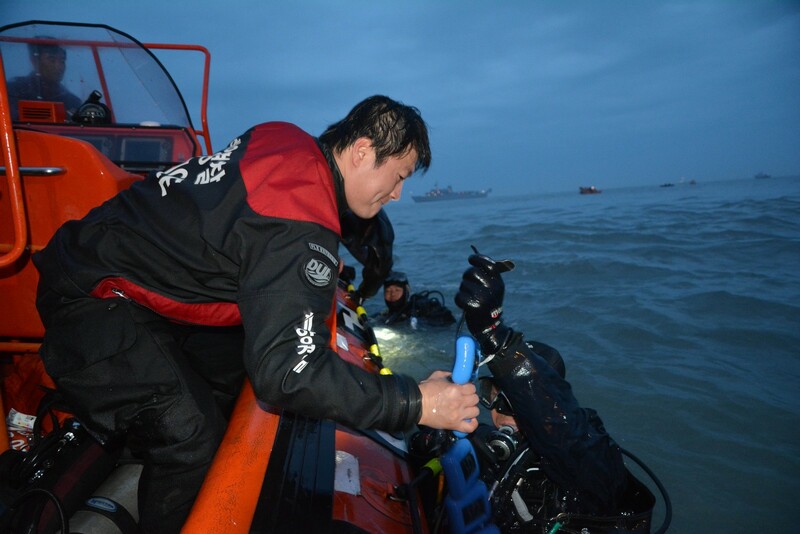 The conditions in the immediate aftermath of the sinking were extremely challenging, with powerful currents and heavy swells buffeting the divers as they sought a way into the inverted, submerged ferry in near-zero visibility. 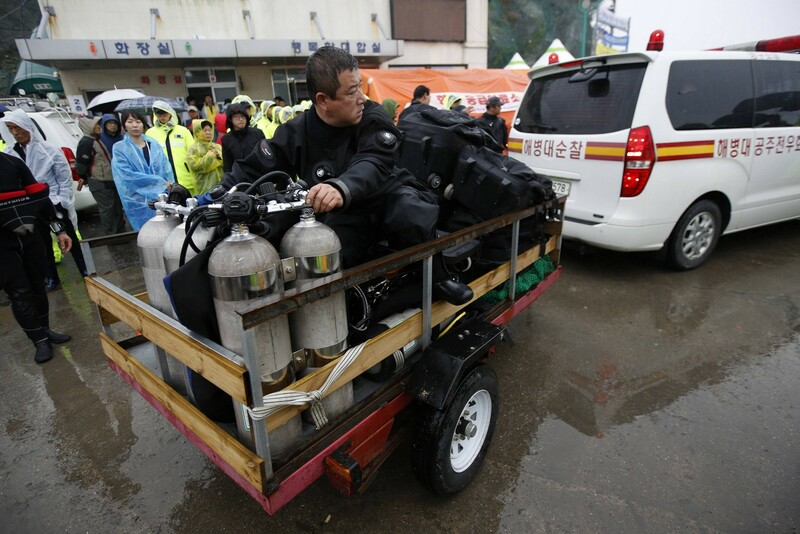 Not everybody welcomed the civilian divers' commitment. 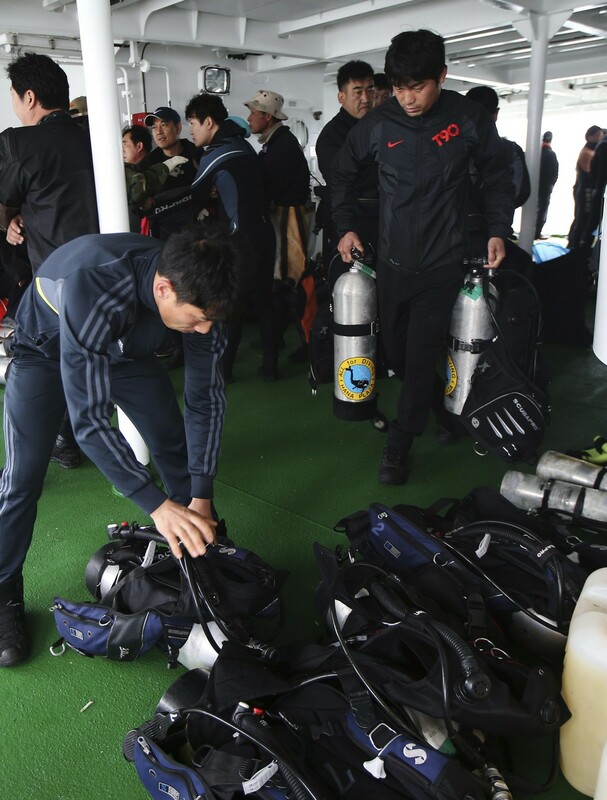 "This isn't leisure diving. 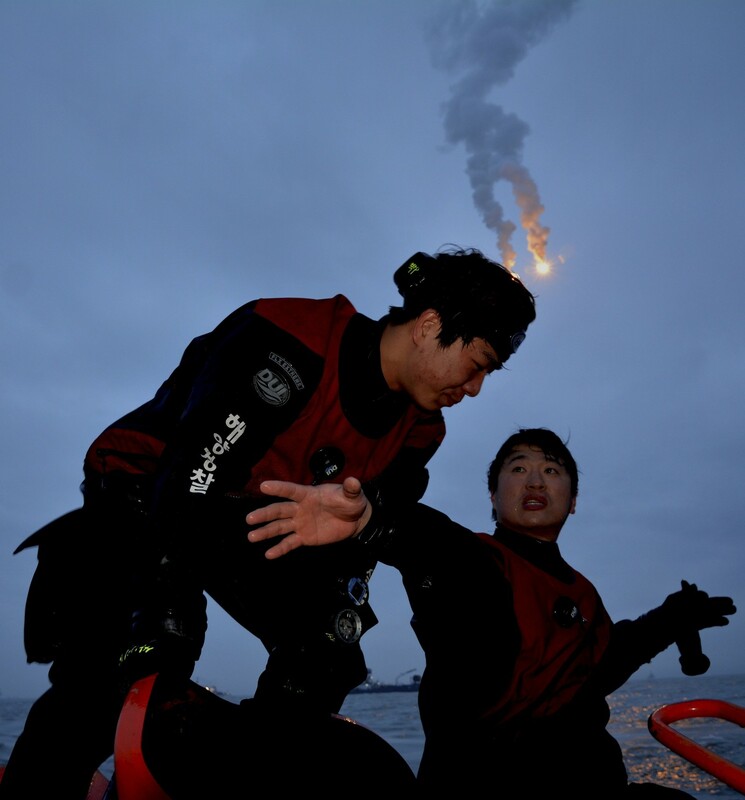 It's difficult, dangerous work and it's definitely not for amateurs," said Kim Do-Hyun, president of the Ship Salvage Unit, a grouping of former navy divers. 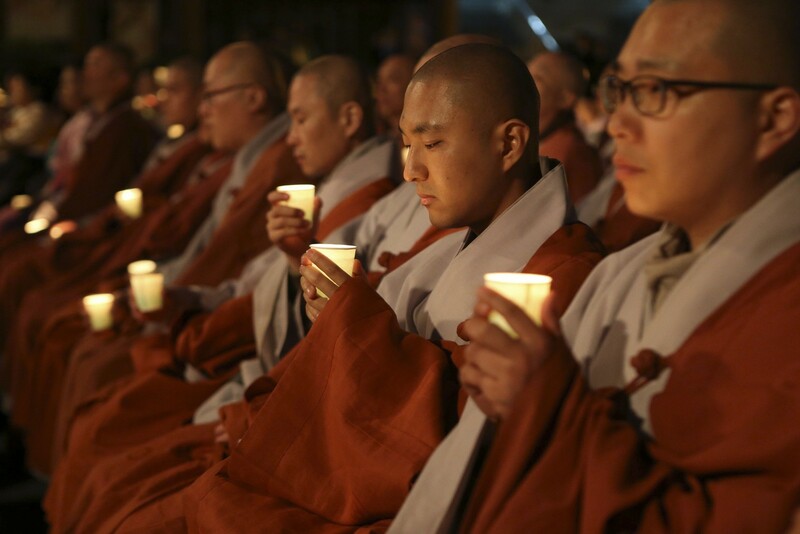 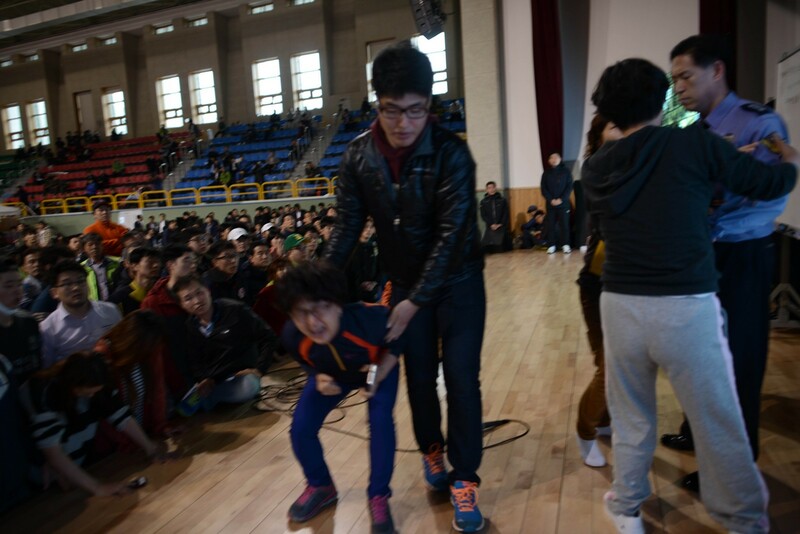 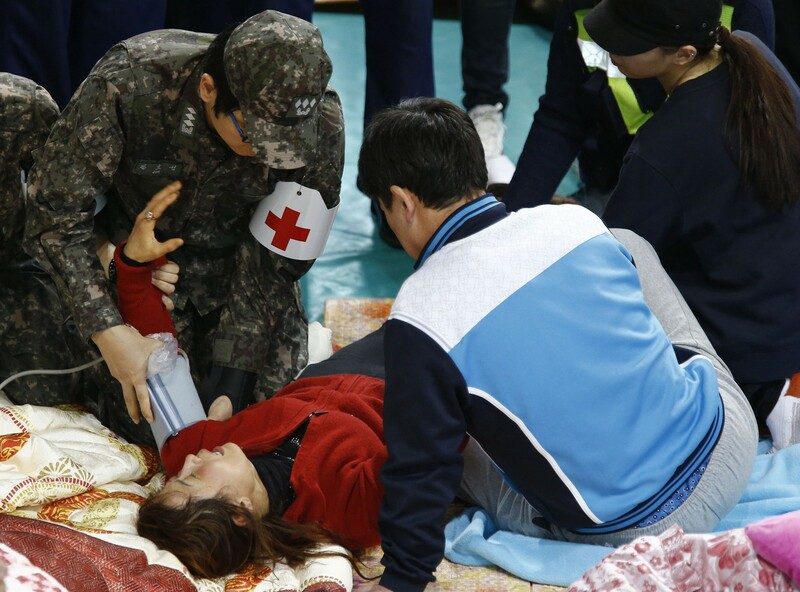 "If something happens to the volunteers, who will take responsibility? 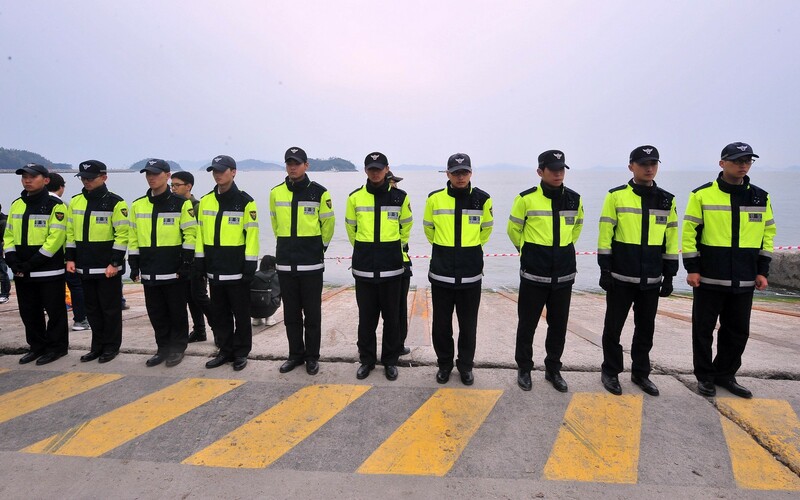 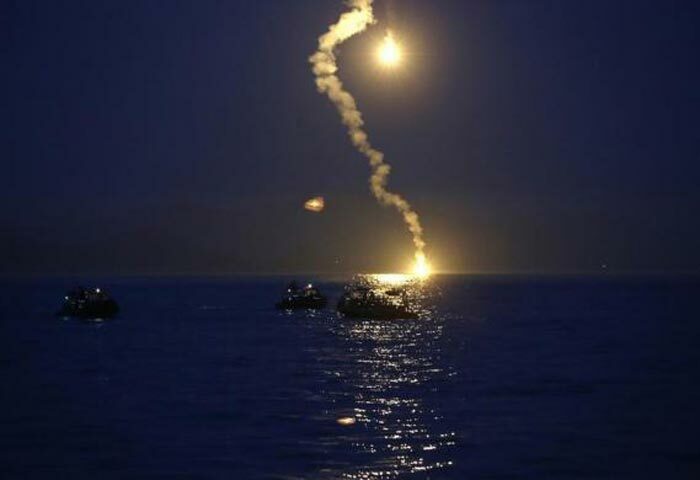 The authorities should have stepped in immediately and stopped them going in the water," Kim told AFP by phone from Seoul. 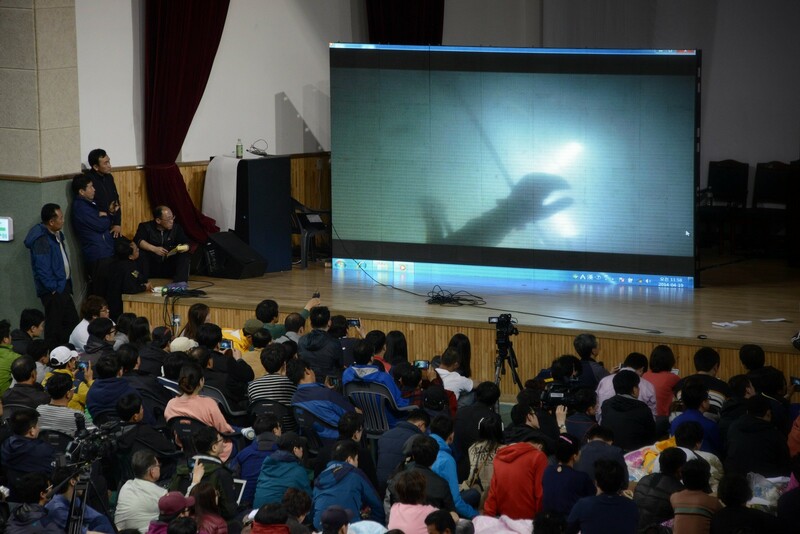 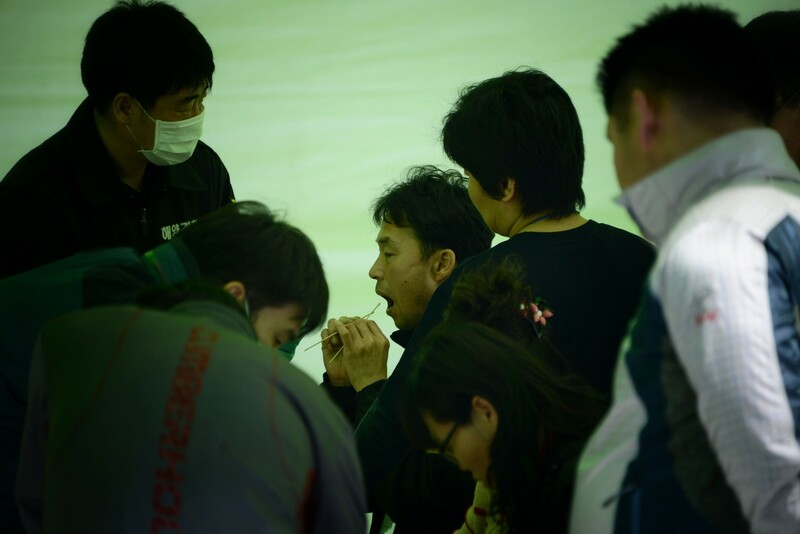 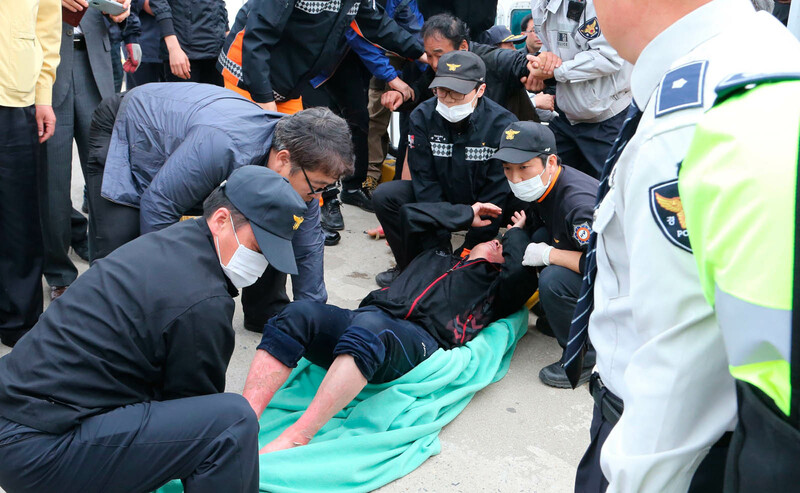 Most feel the civilian divers have proved their worth, and the sheer scale of the rescue and recovery task has clearly encouraged officials to turn a blind eye to qualifications in exchange for more manpower. 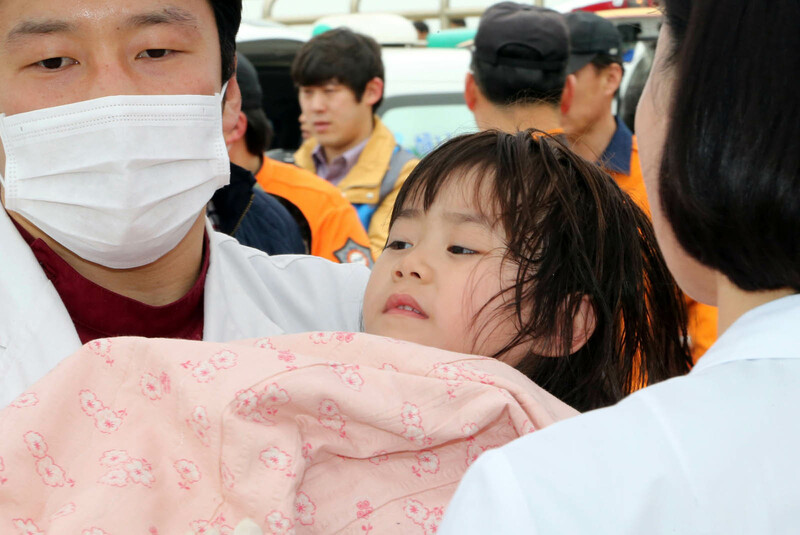 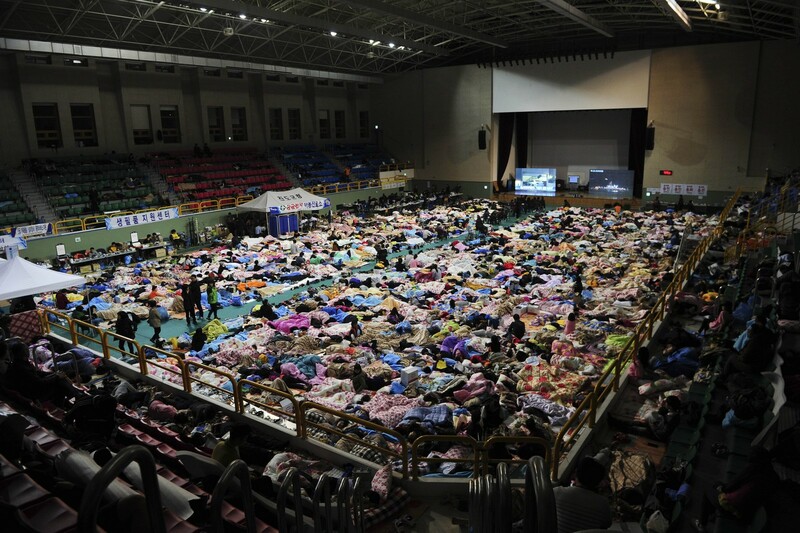 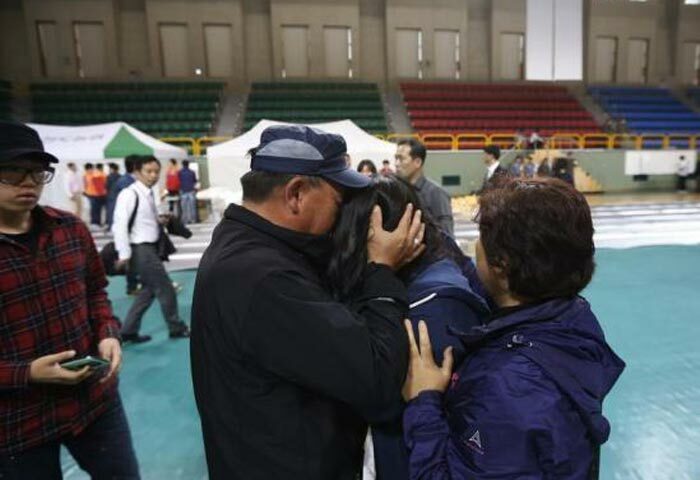 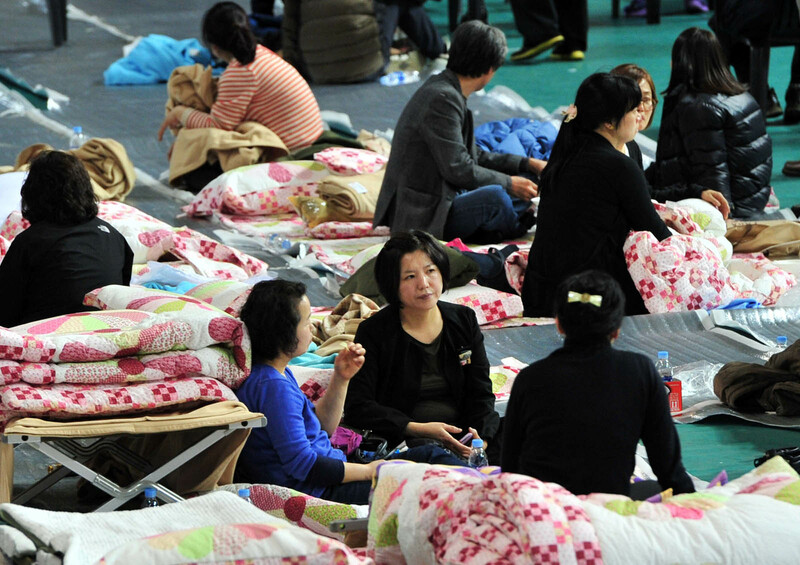 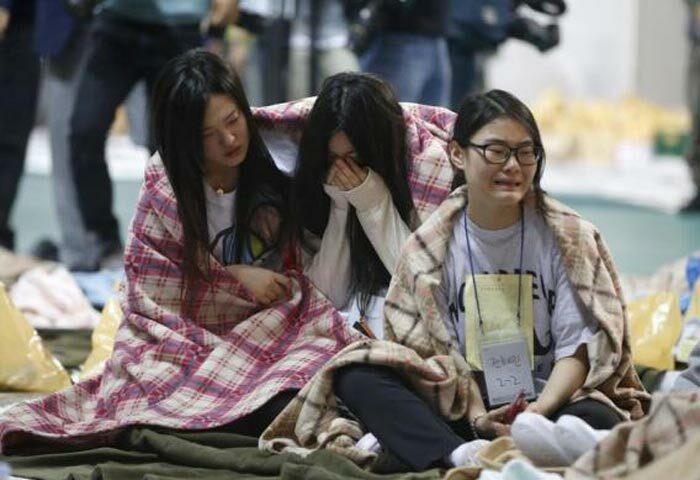 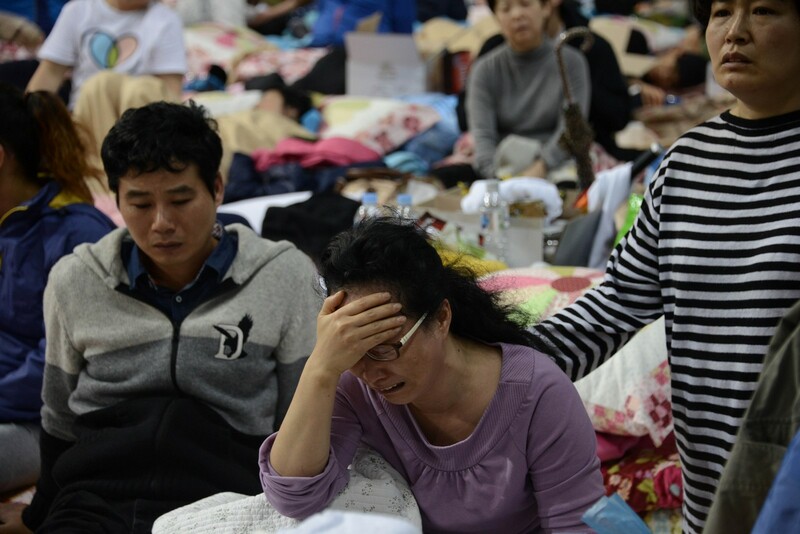 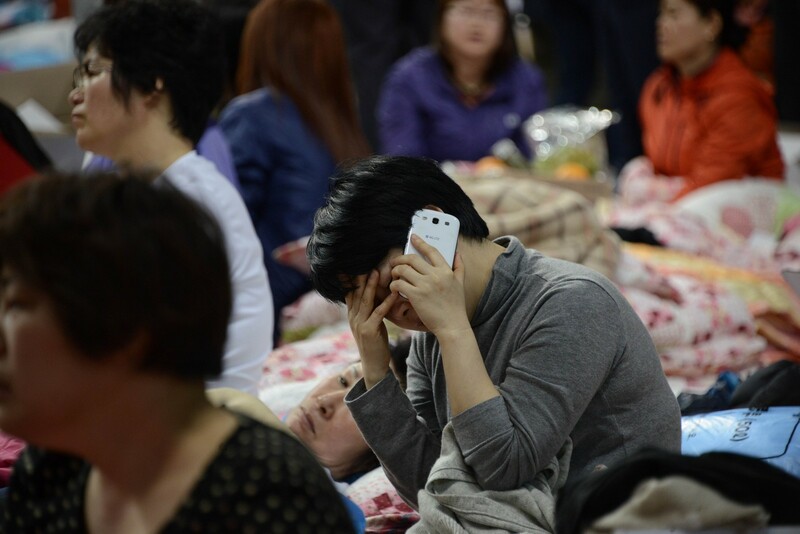 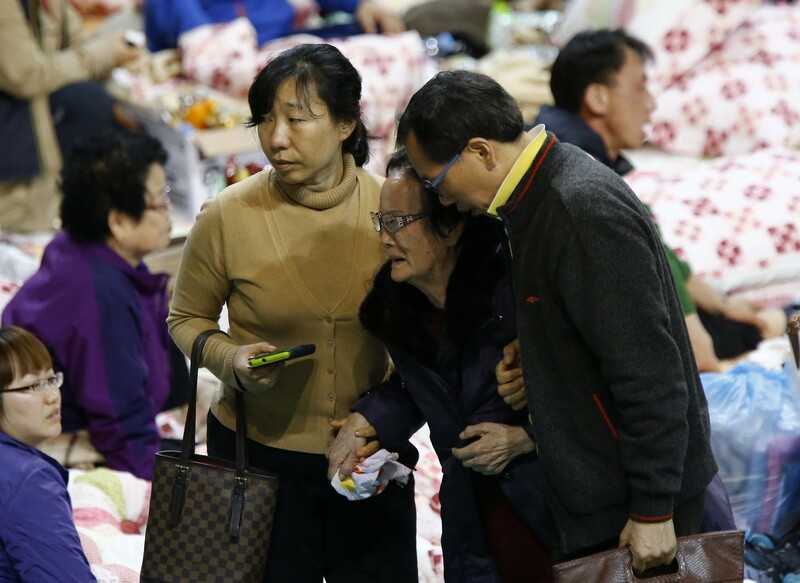 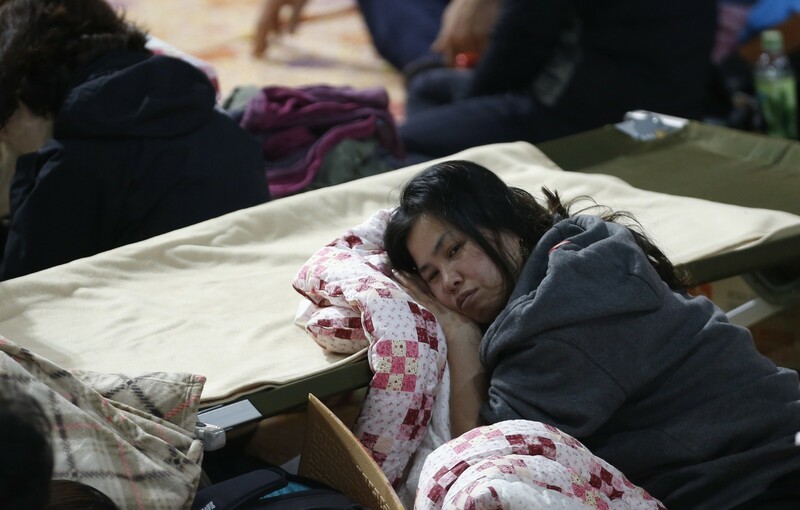 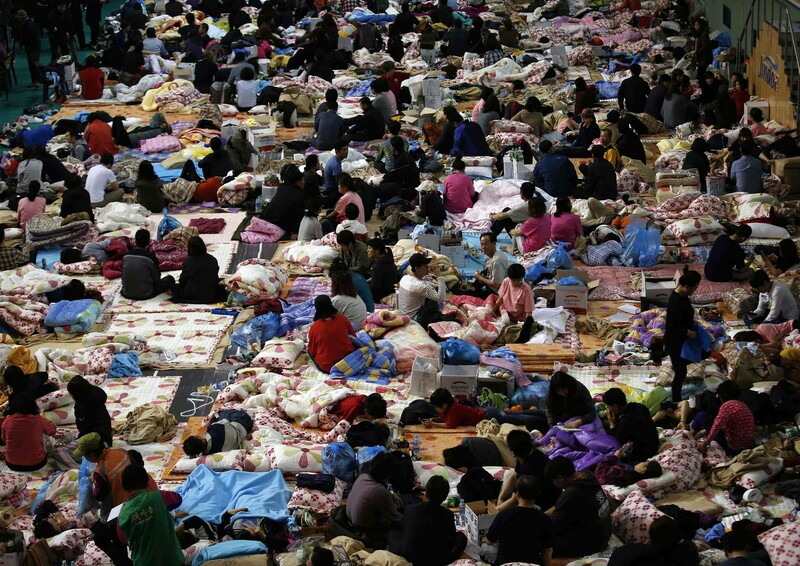 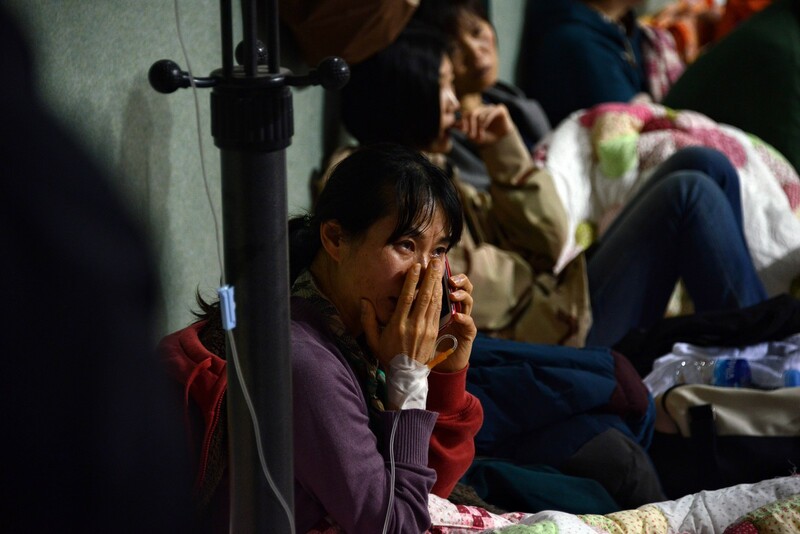 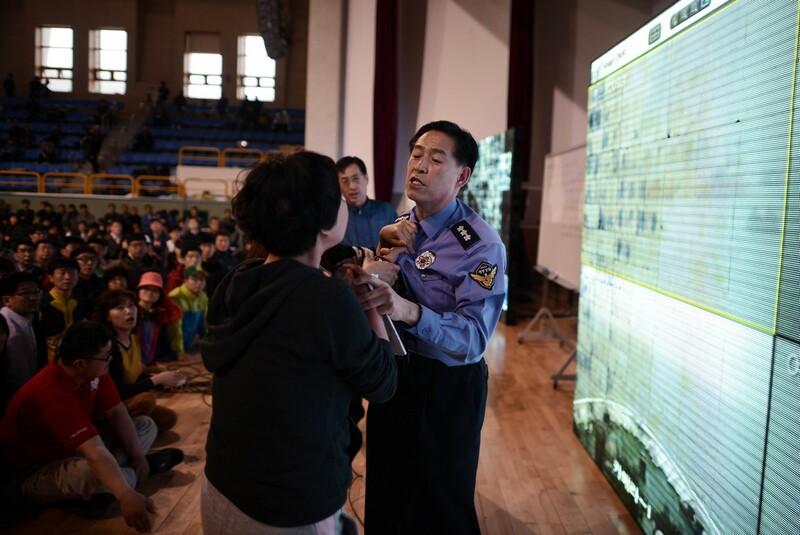 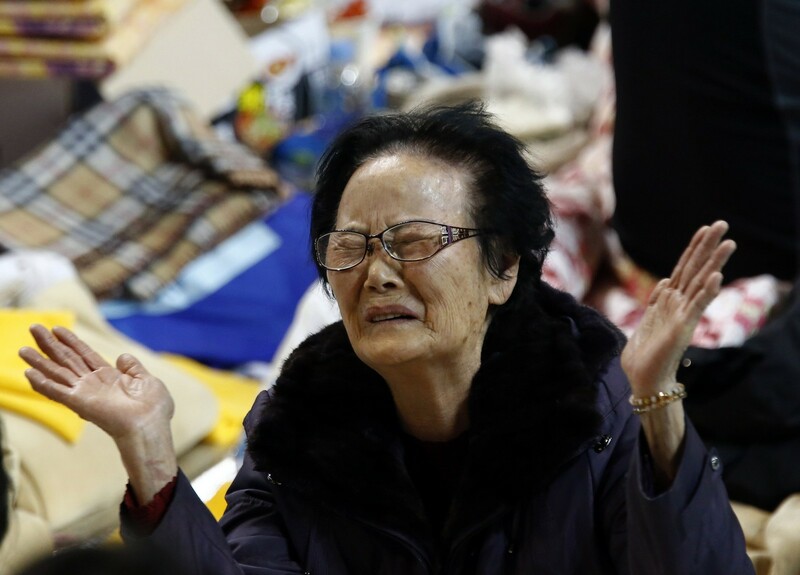 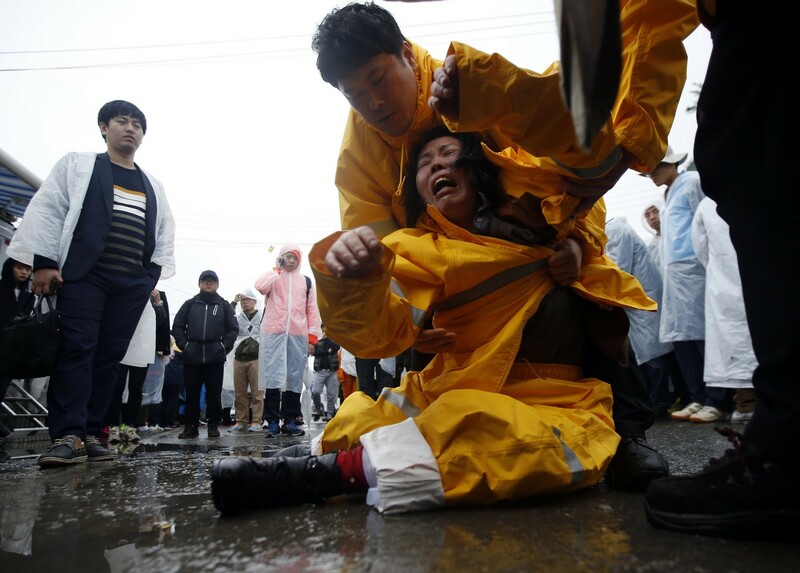 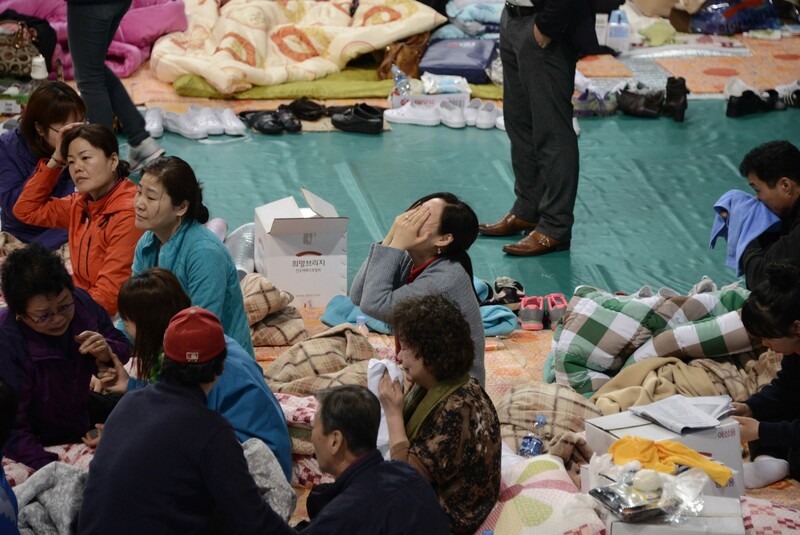 As of Monday morning, the confirmed death toll from the disaster stood at 64 but was expected to rise dramatically with 238 people still unaccounted for - most of them schoolchildren. 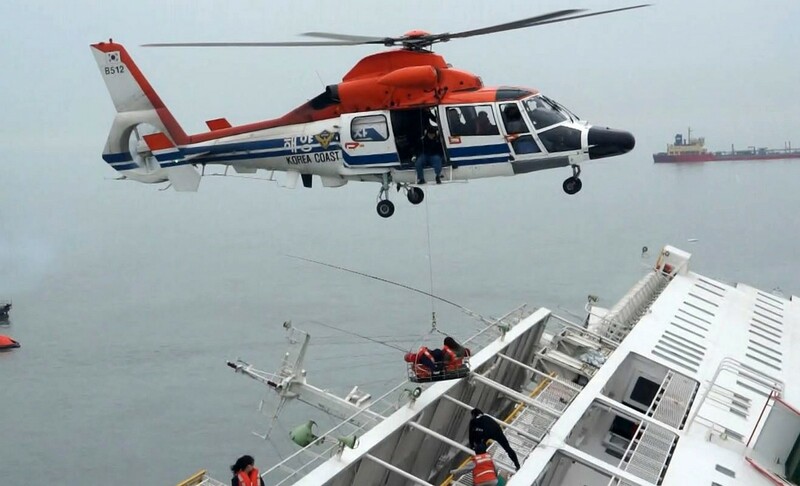 With any hope of finding passengers surviving in air pockets all but extinguished, the rescue has effectively transitioned into a grim recovery operation. 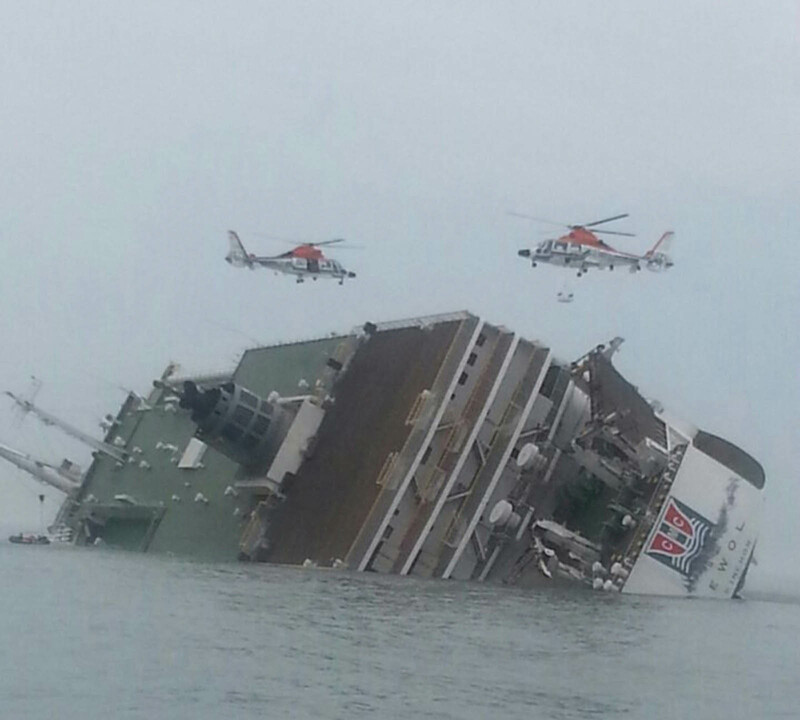 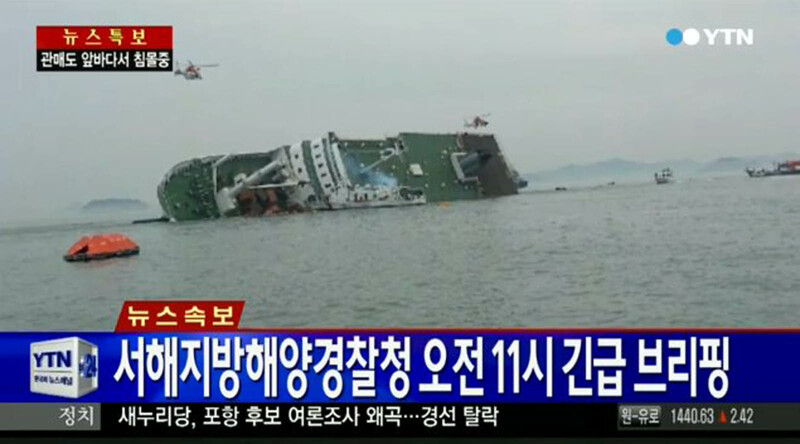 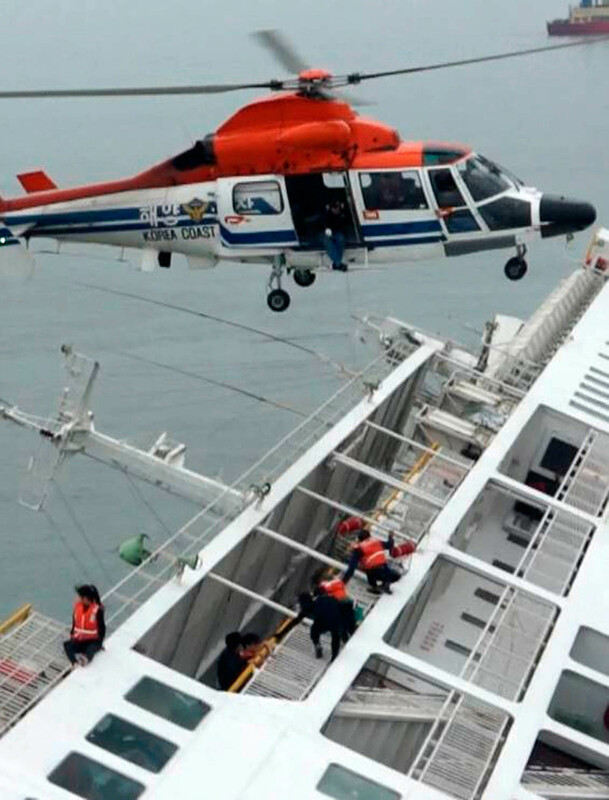 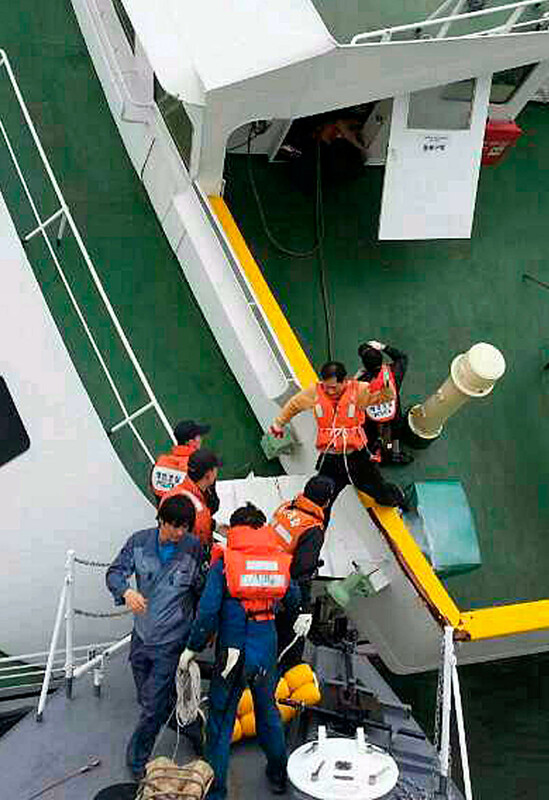 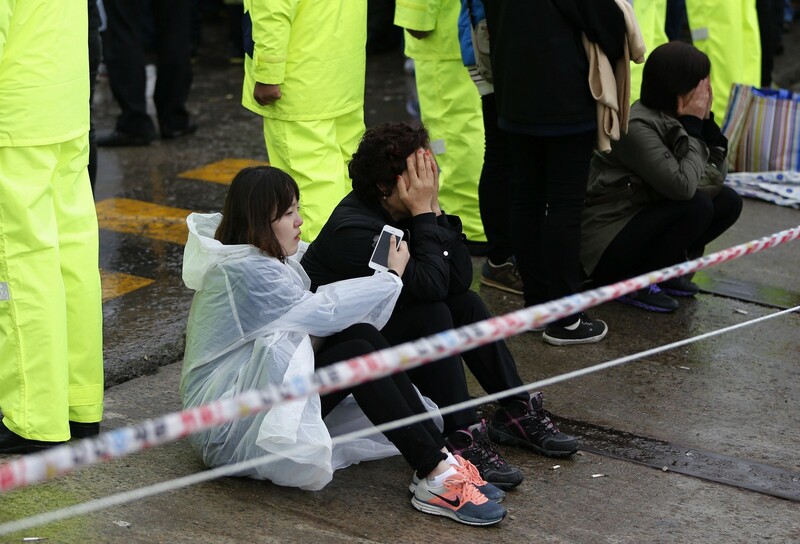 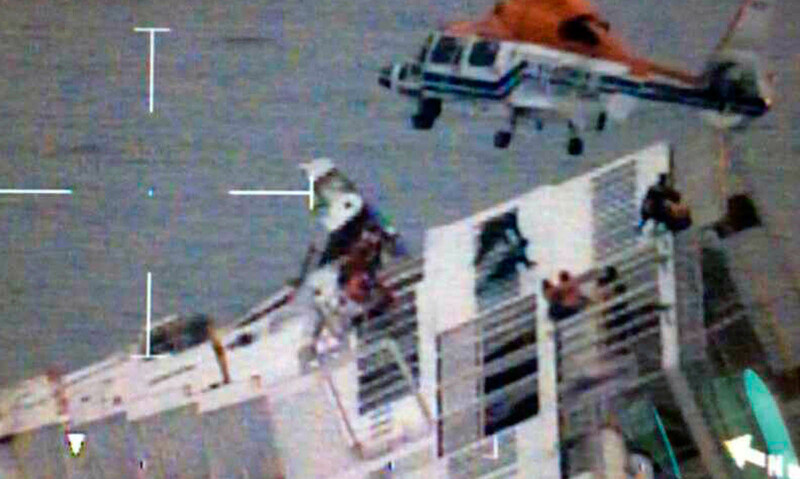 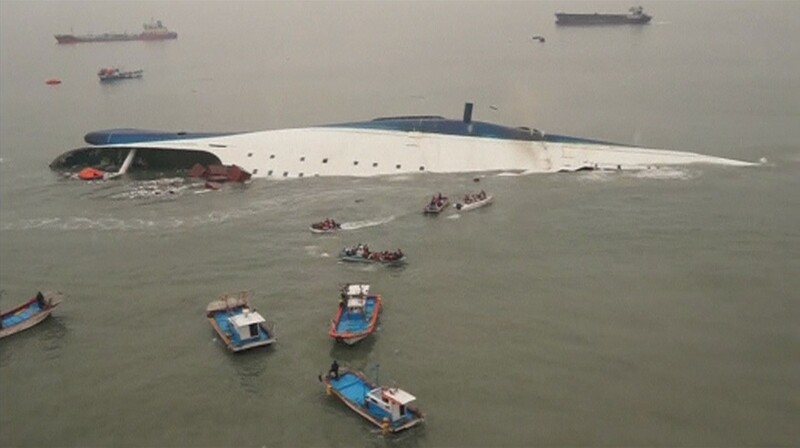 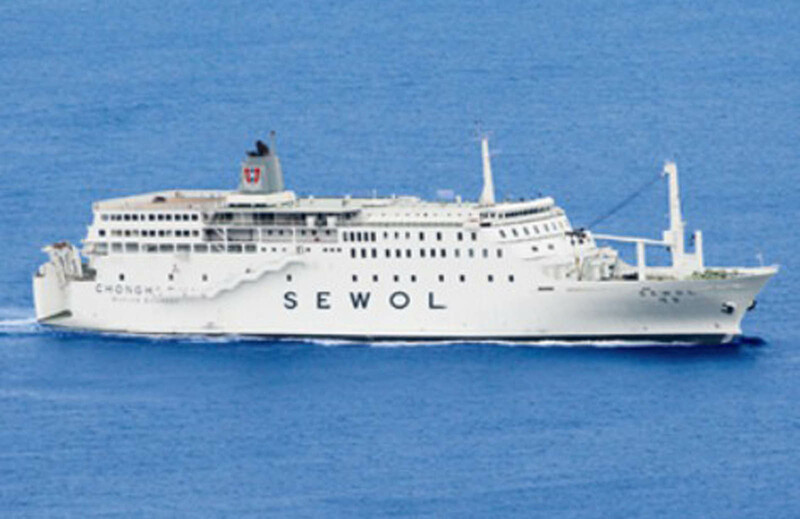 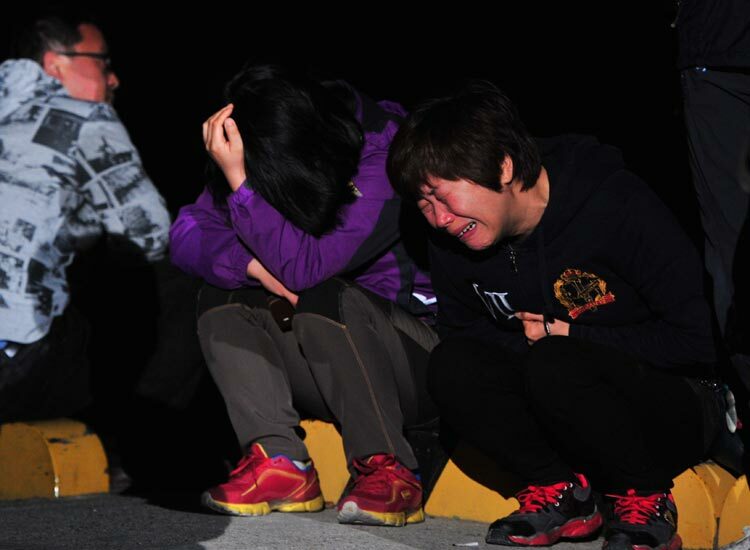 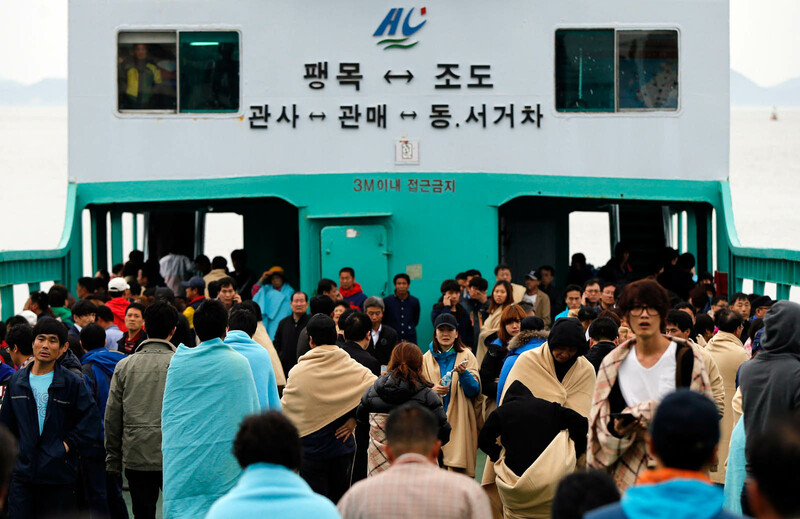 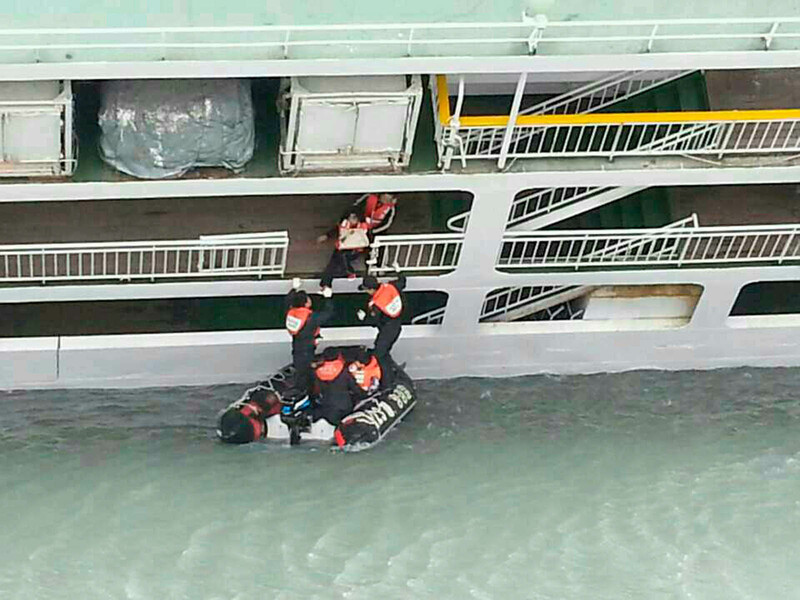 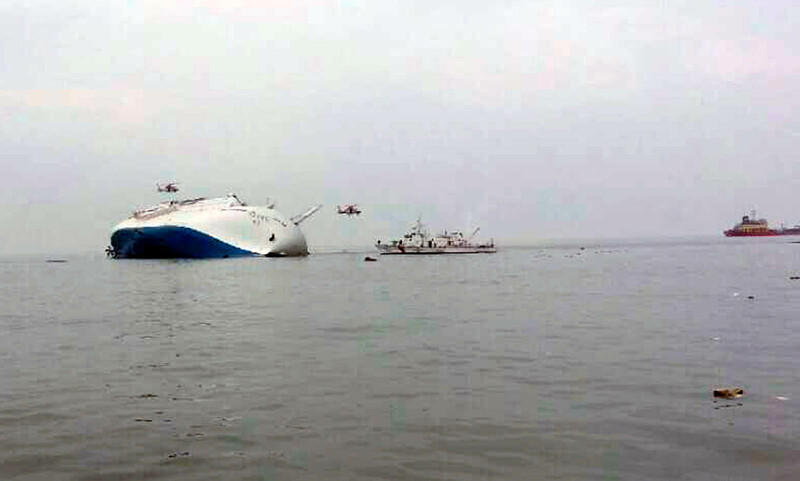 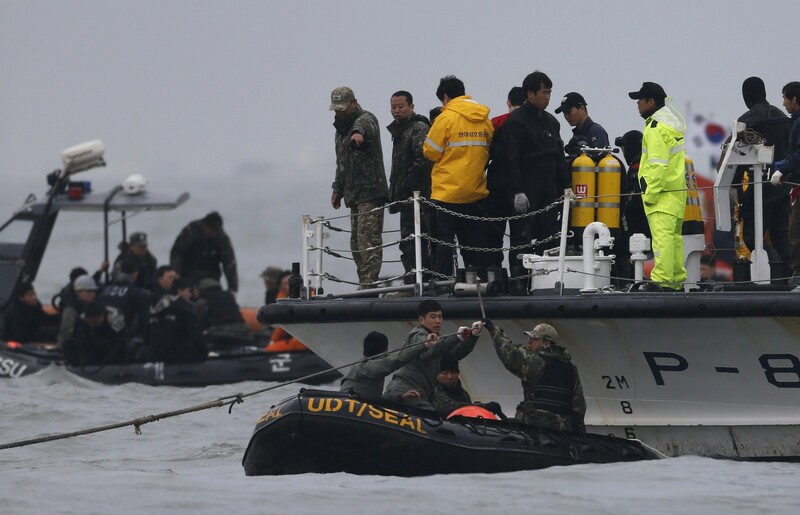 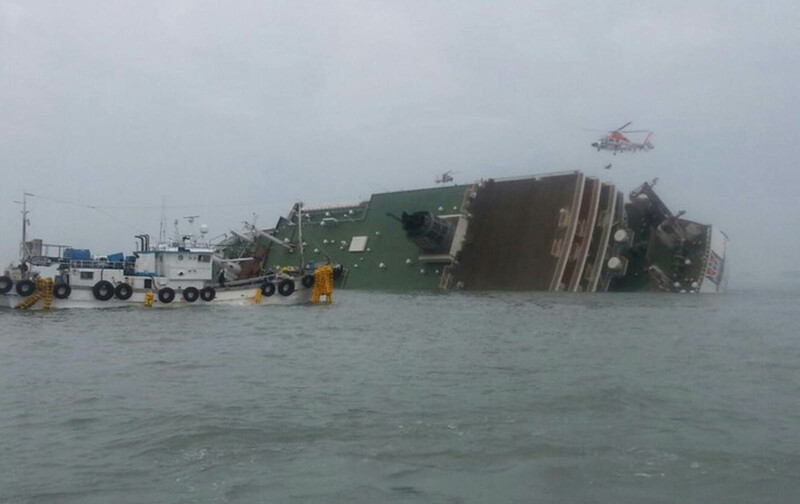 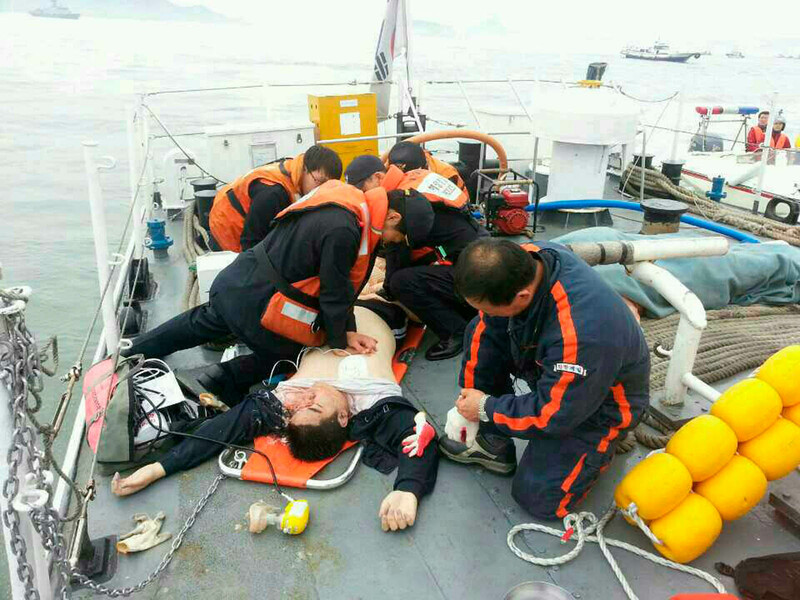 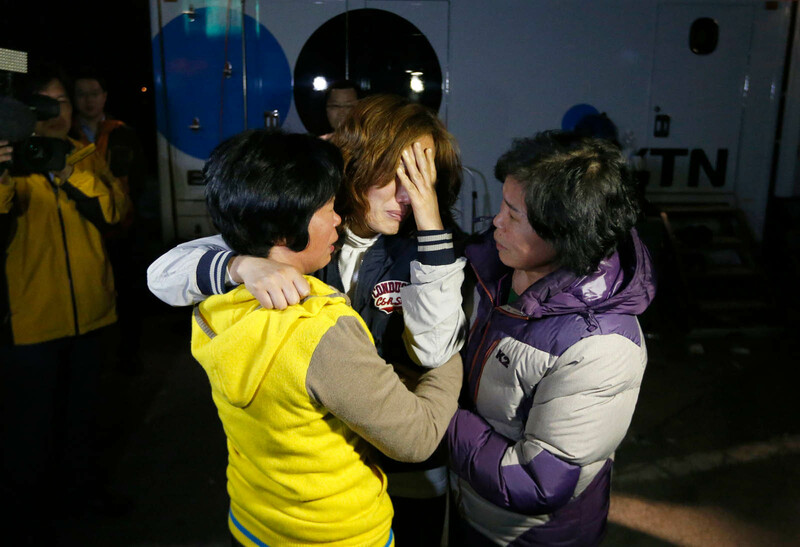 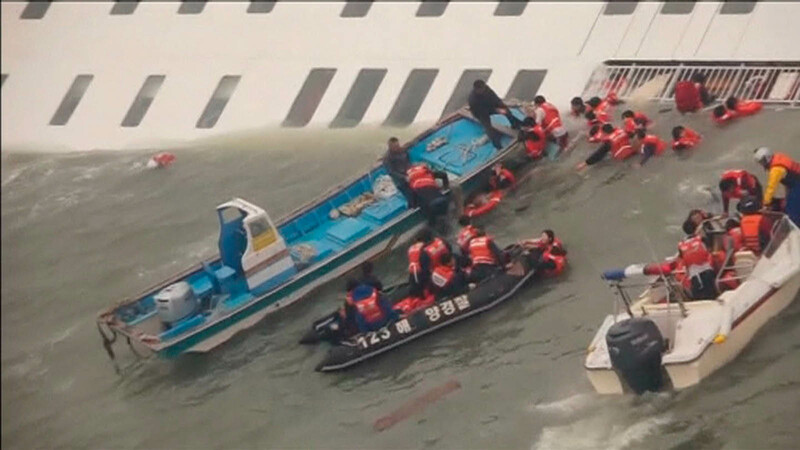 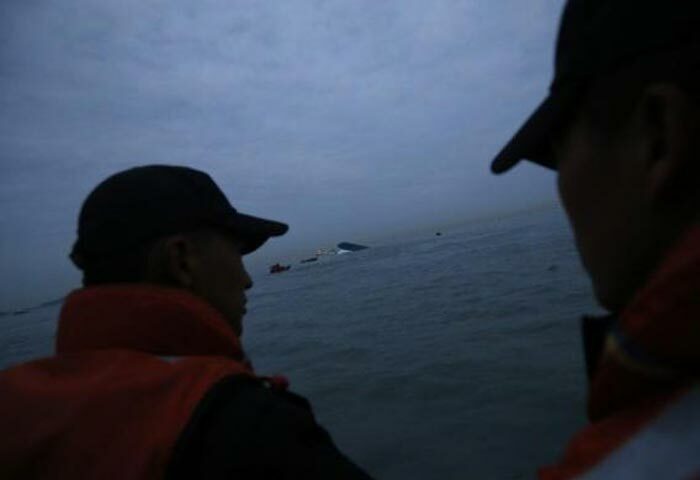 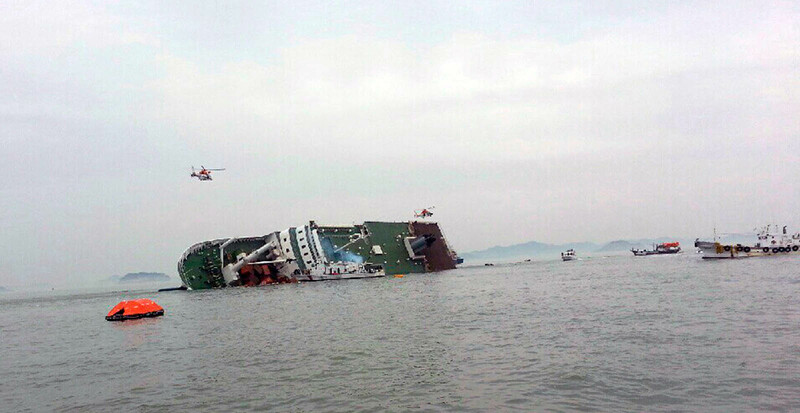 And it was a team of civilian divers who retrieved the first bodies from inside the ferry early Sunday. 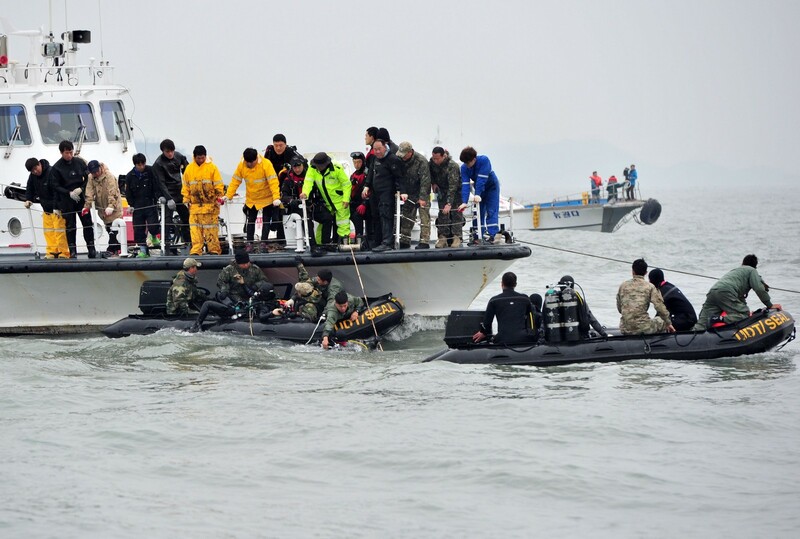 "The mood changed a lot after that," Lee said, with many of the amateurs deciding to leave once it became clear there were no survivors to be rescued. 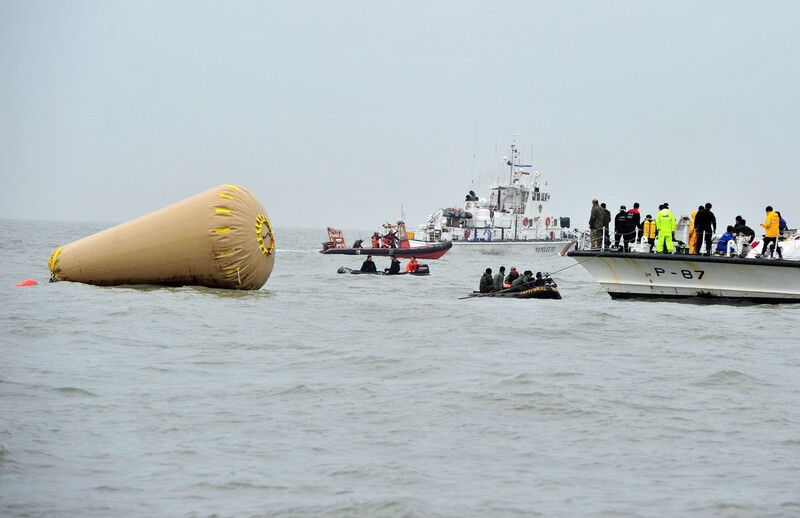 "I'm proud of what we did and are still doing here, although it was obviously a huge disappointment not to find anyone alive. 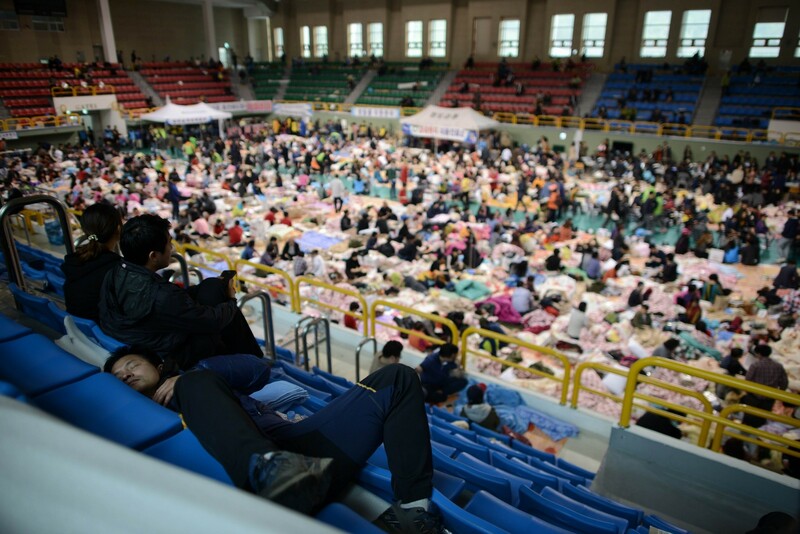 "It's exhausting, but it's a job that needs to be done," he said. 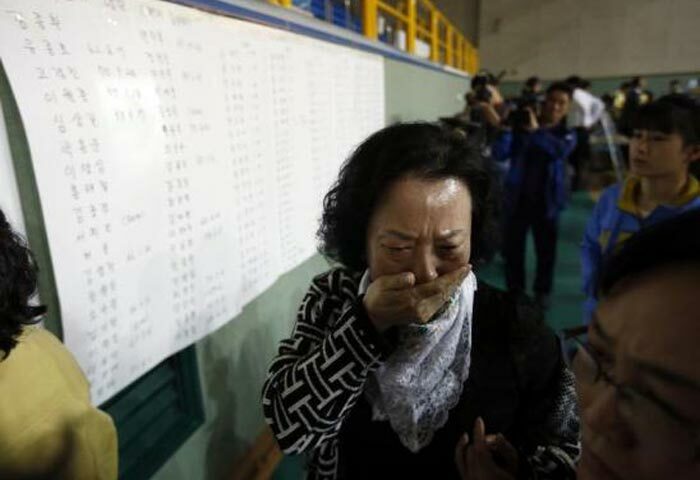 Asked how he coped with the grim task of finding and recovering the bodies of the children, Lee's relentless optimism gave way. 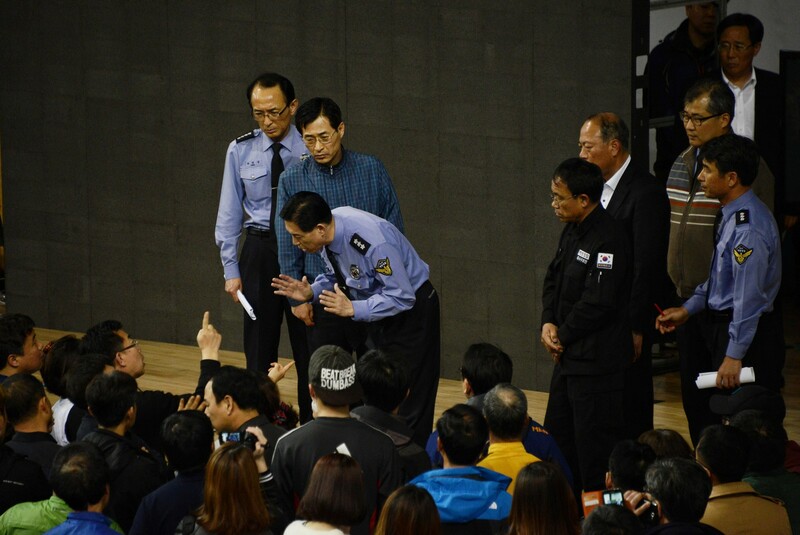 "I really don't want to talk about that," he said.